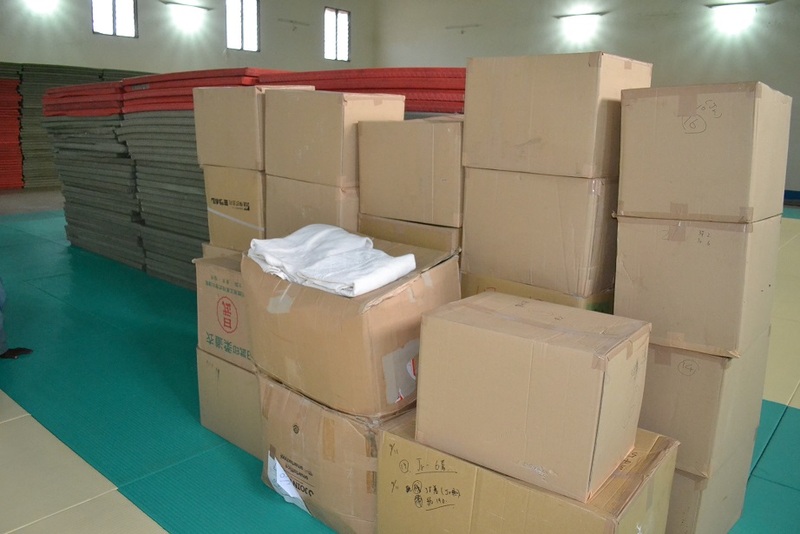 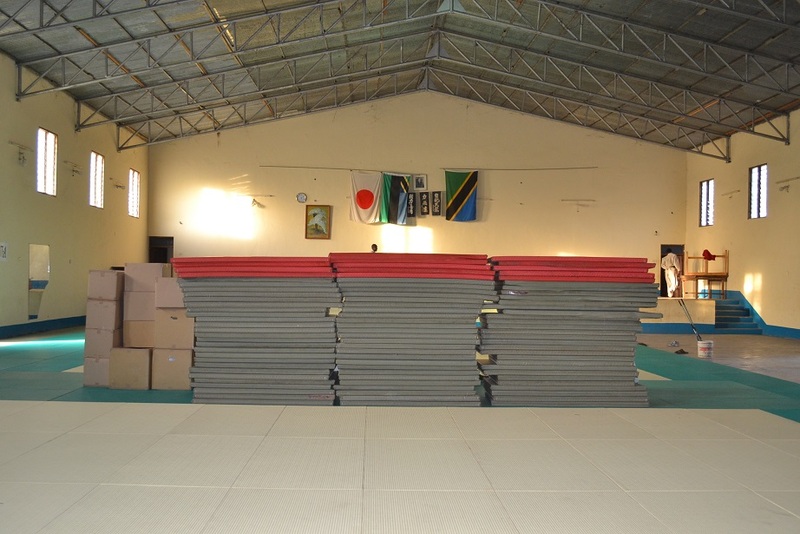 TATAMI and JUDOGI are arrived from Japan. 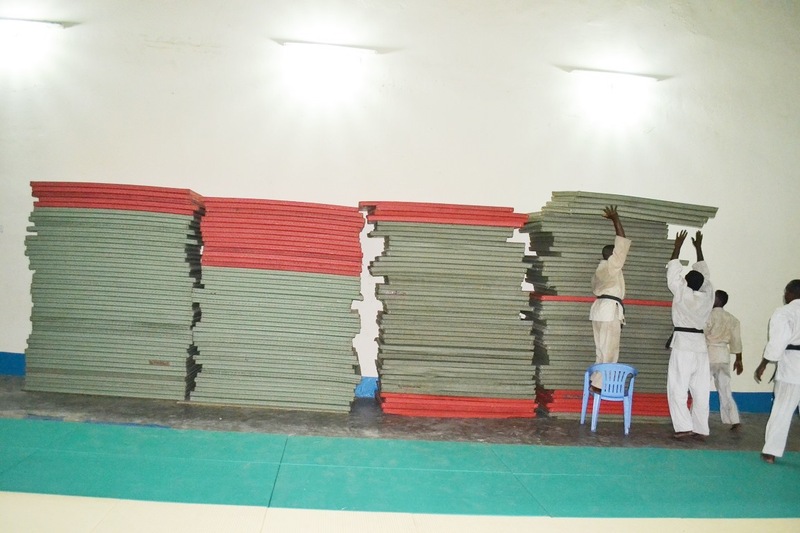 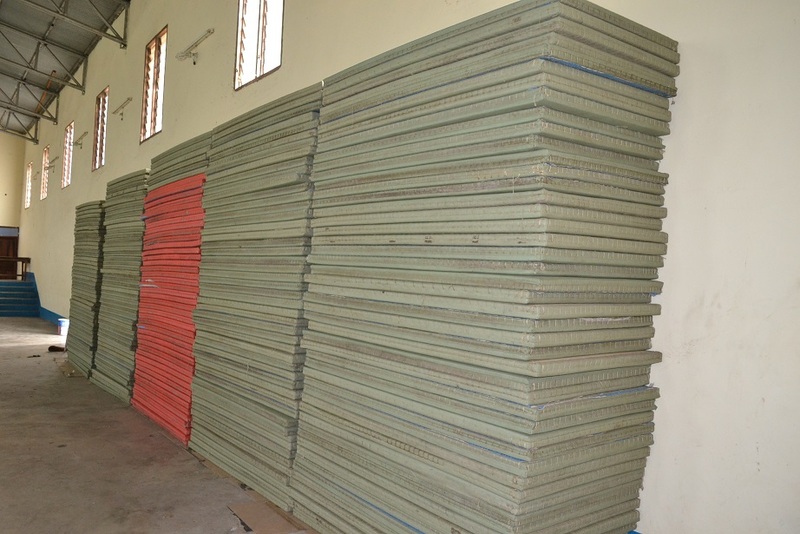 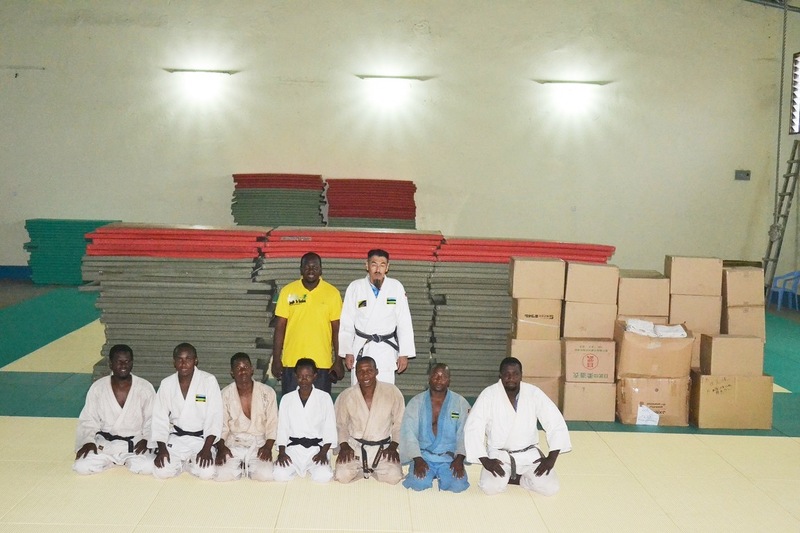 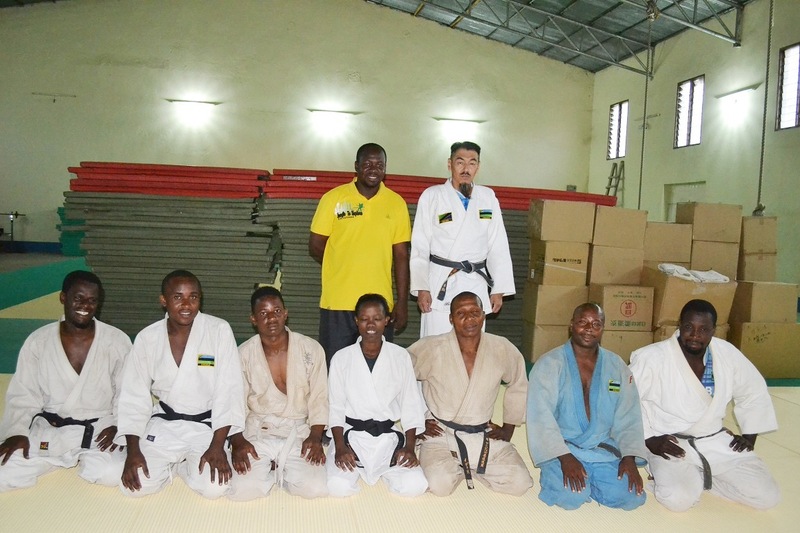 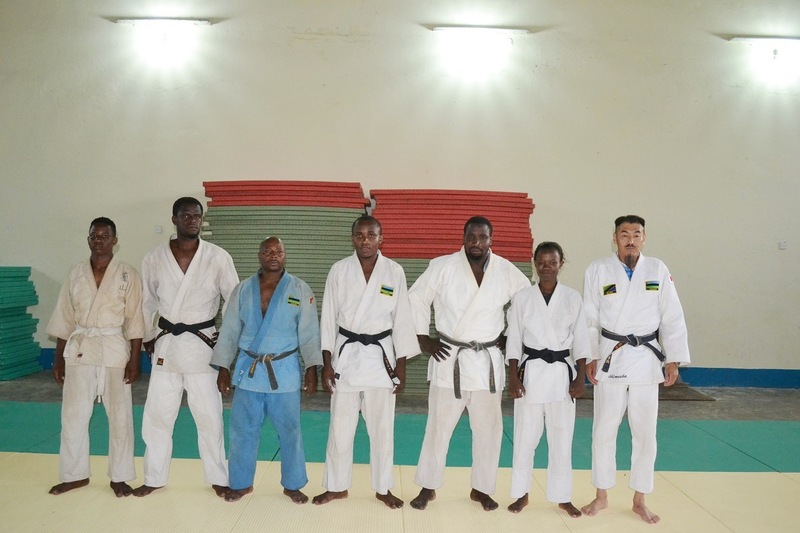 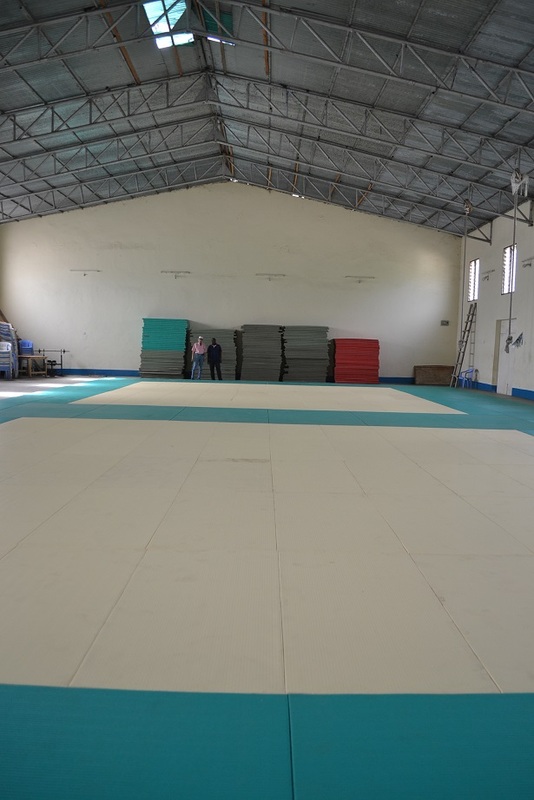 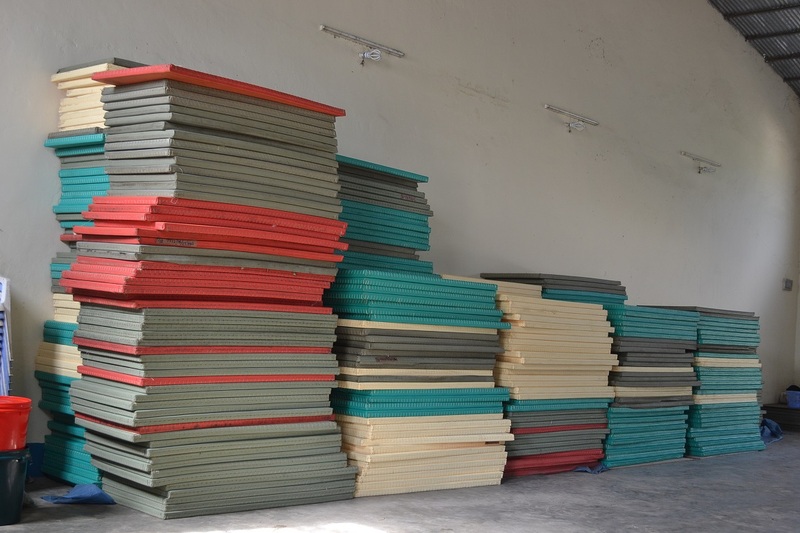 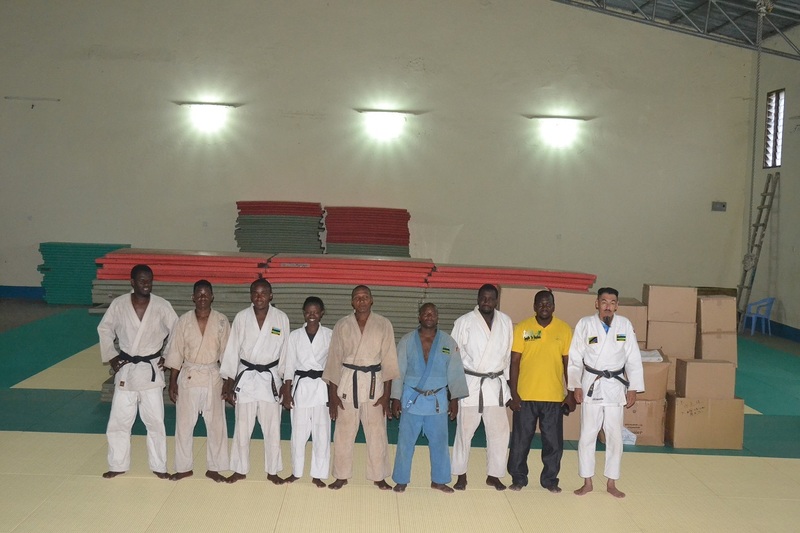 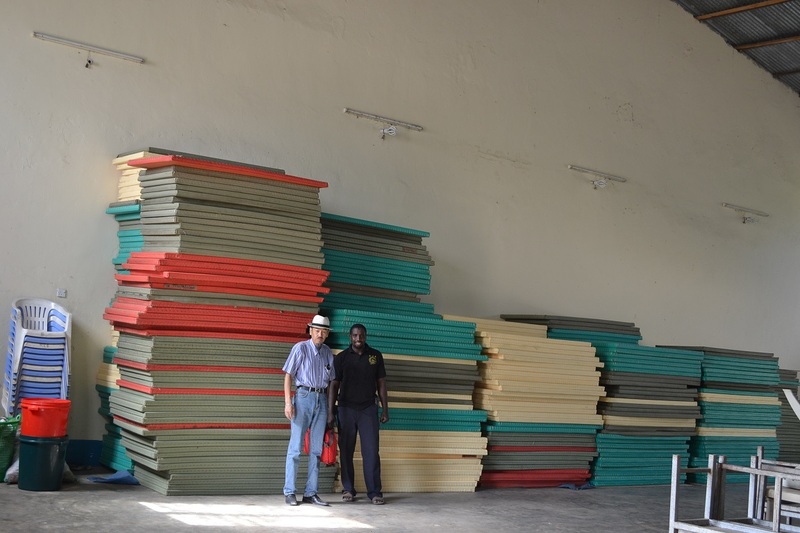 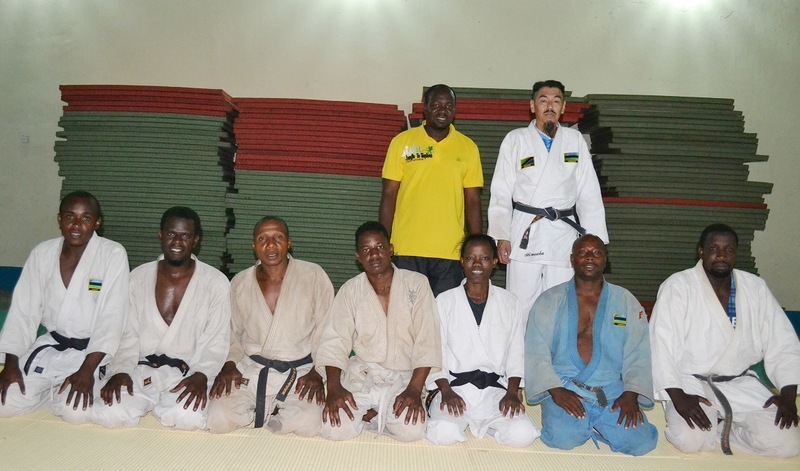 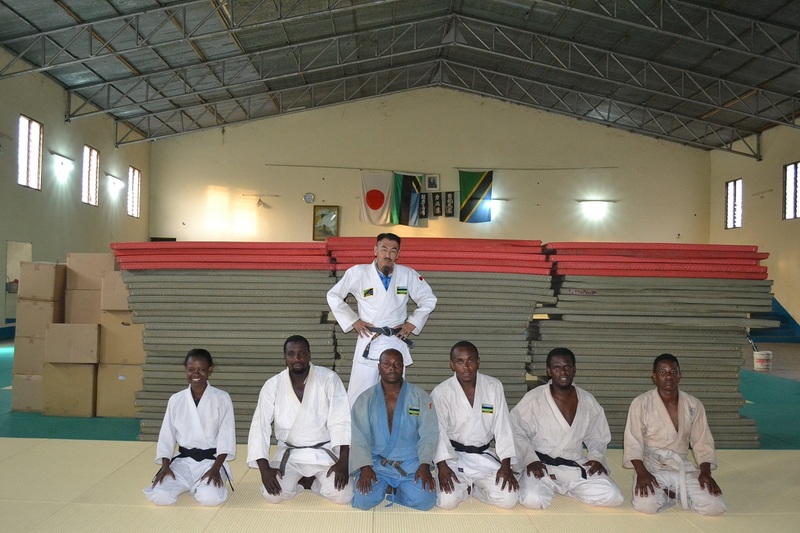 Zanzibar Judo Association changed TATAMI of Zanzibar Budokan to new one of International standard color, yellow and green. 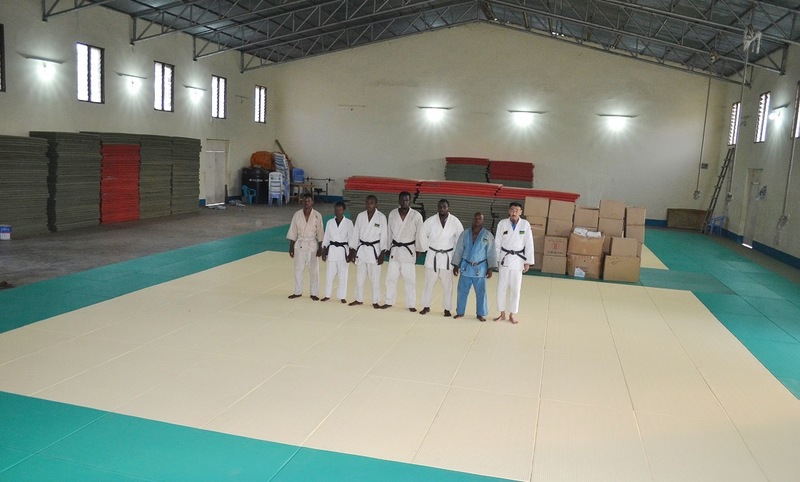 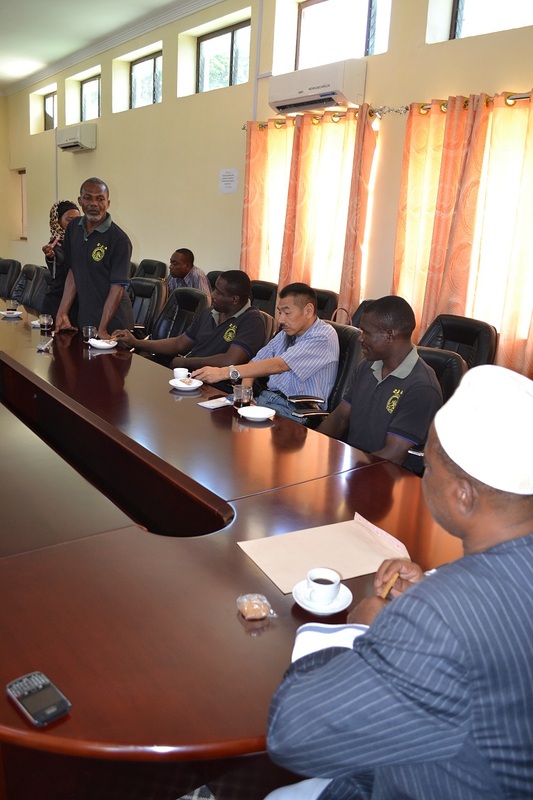 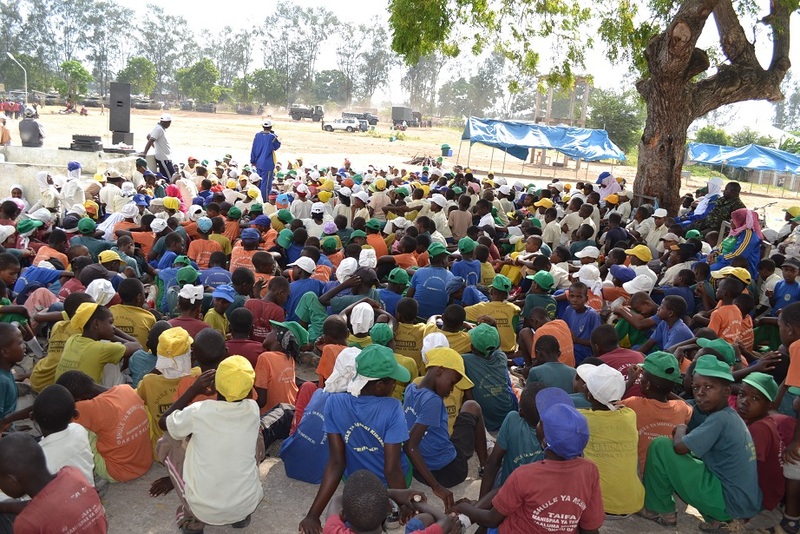 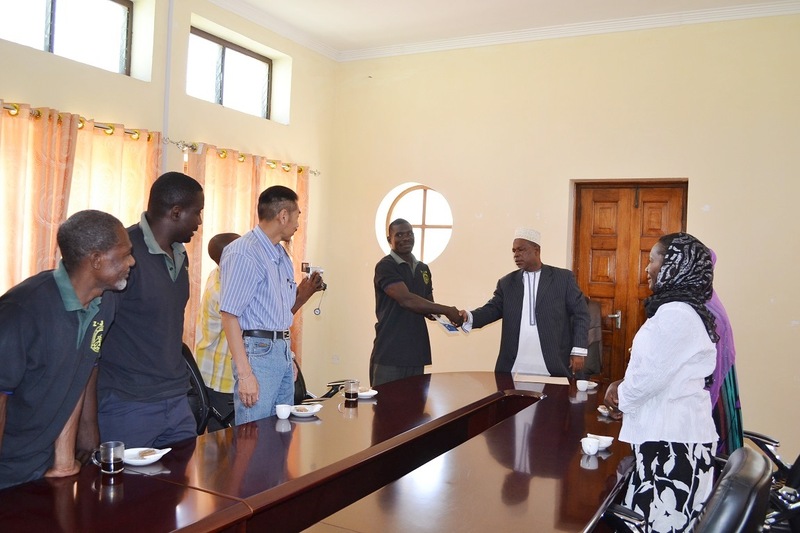 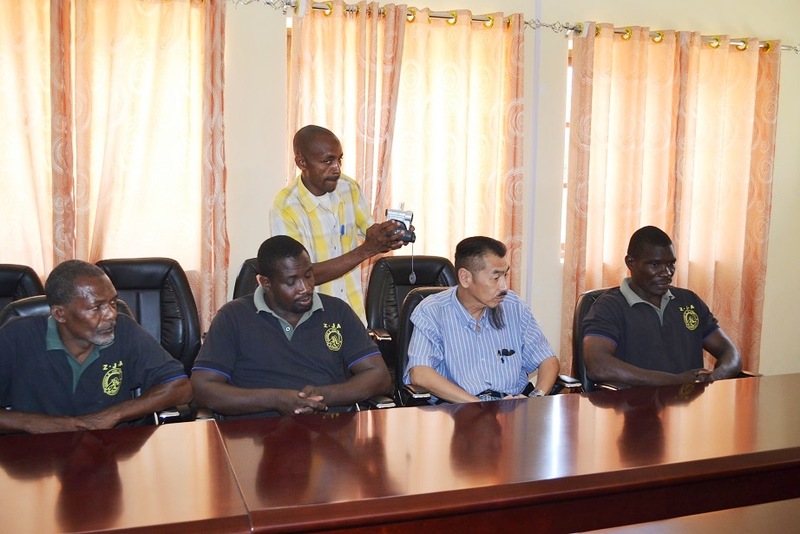 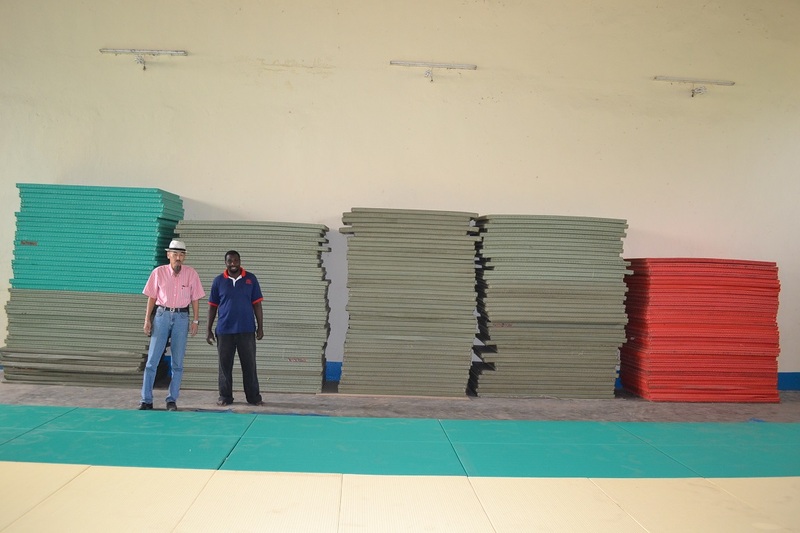 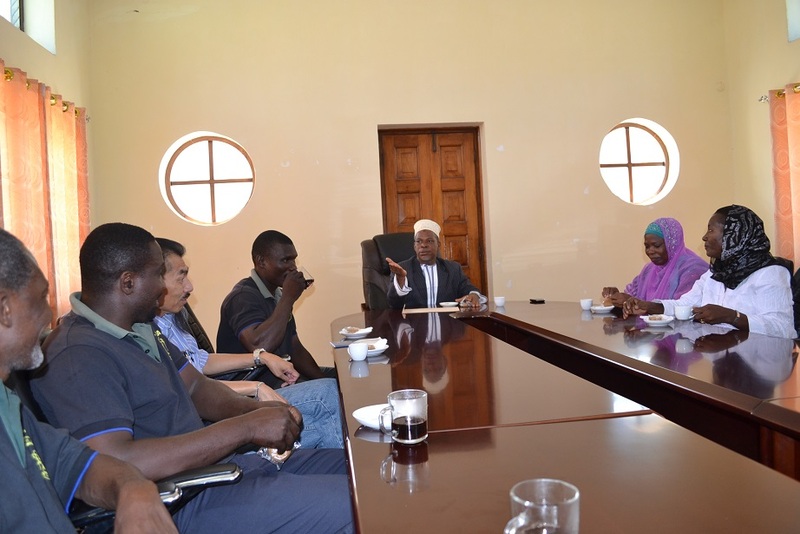 Special thanks to Daiken Corporation, JT-Sekiguchi Co., Ltd., NPO-Solidarity of International Judo Education and NGO Zanzibar Judo Foundation. 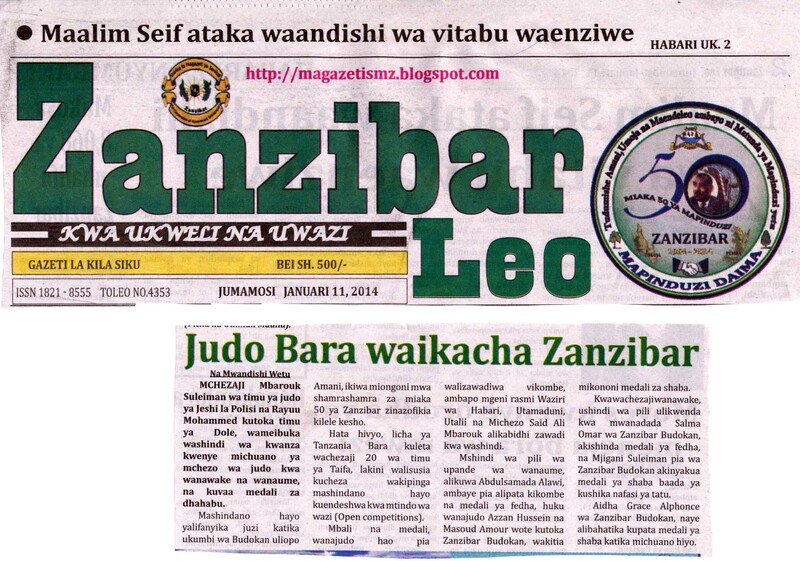 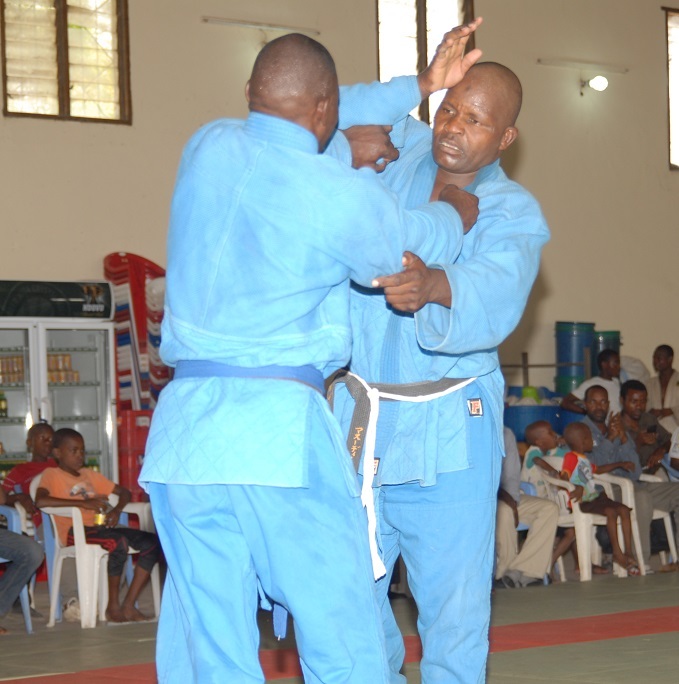 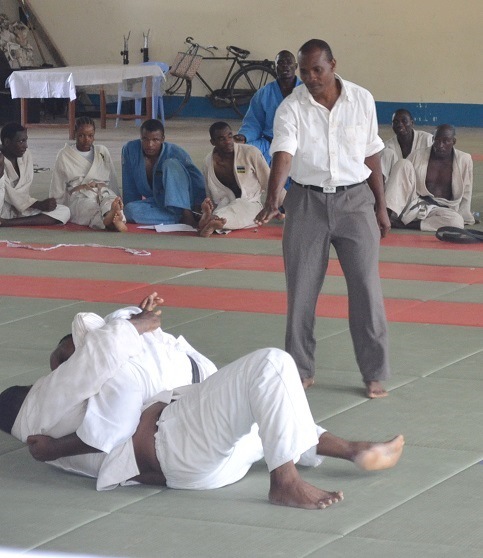 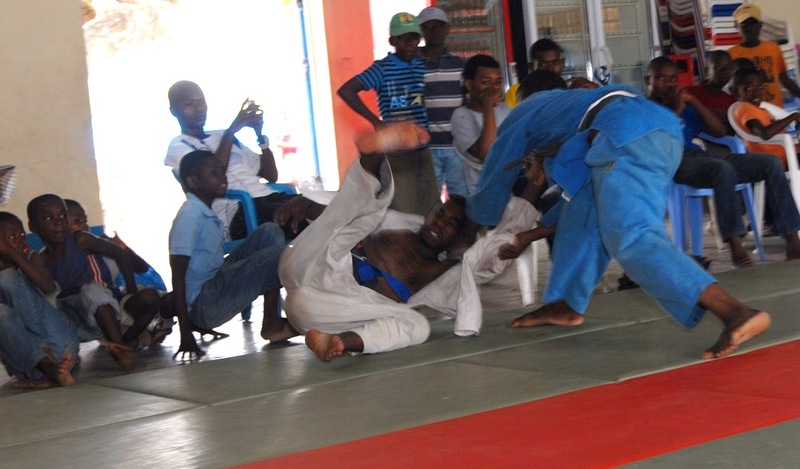 Zanzibar Judo Association has organized Zaznibar Mapinduzi Judo Cup, as one of the sport competitions for 50th years memorial of Zanzibar Revolution, on 09/JAN/2014. 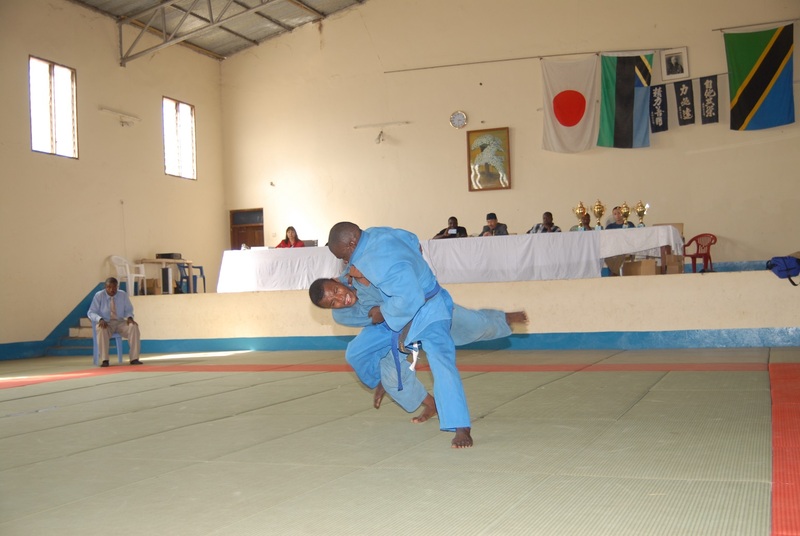 It was open-weight competition to tell the spirit of Judo, "The weak may beat the strong", "maximum-efficient use of power", "mutual welfare and benefit". 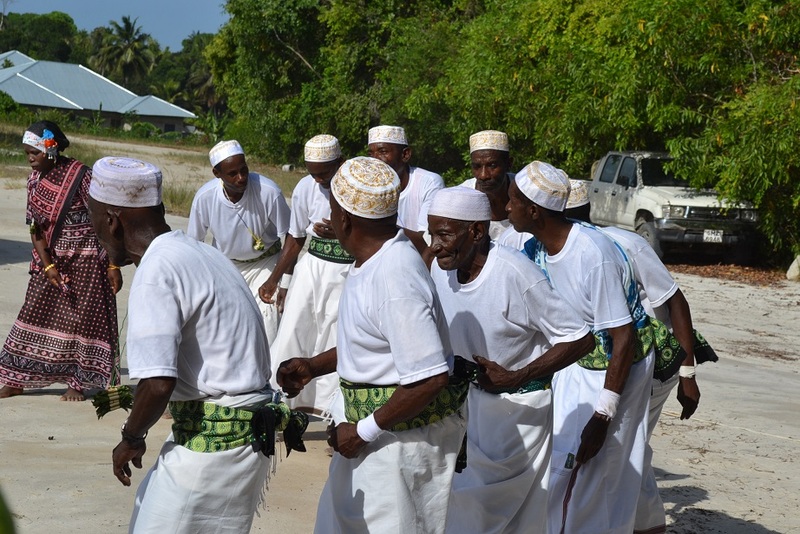 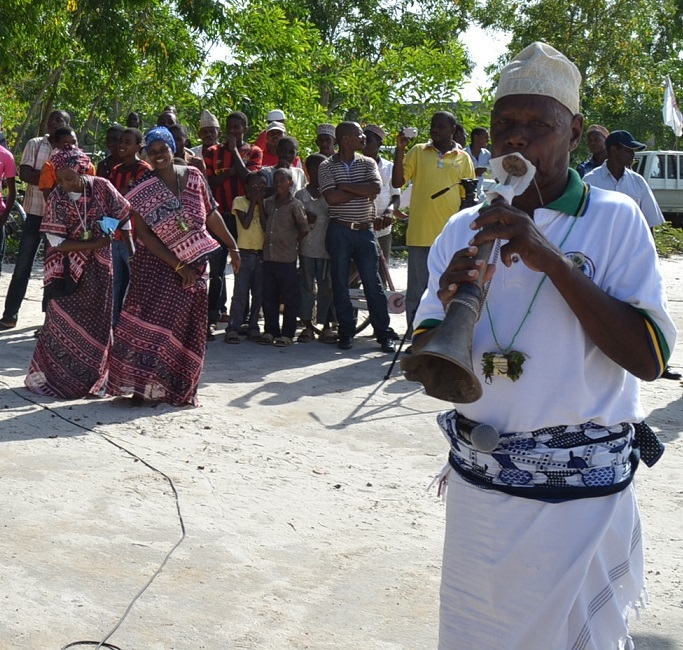 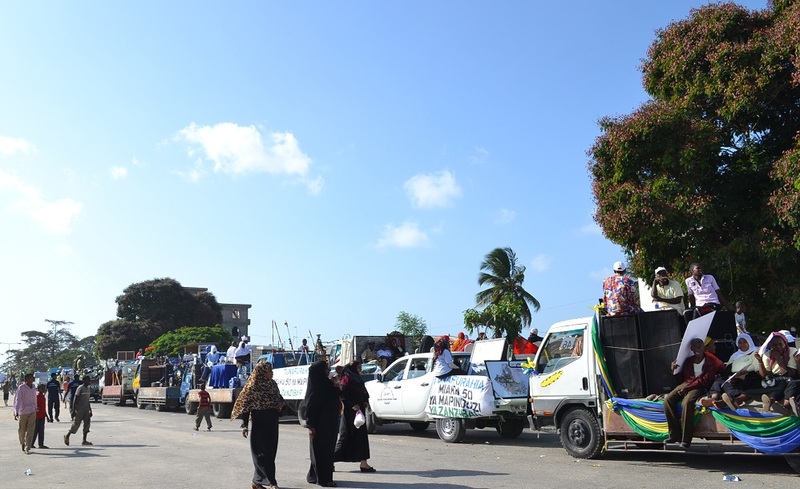 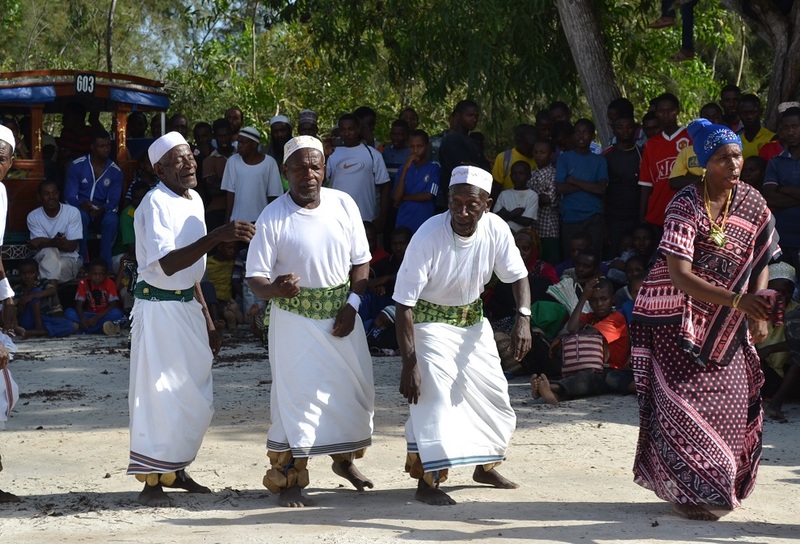 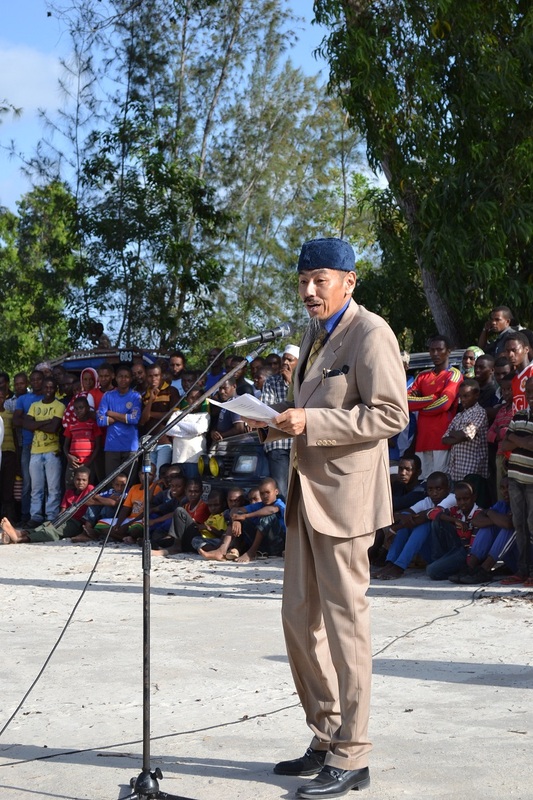 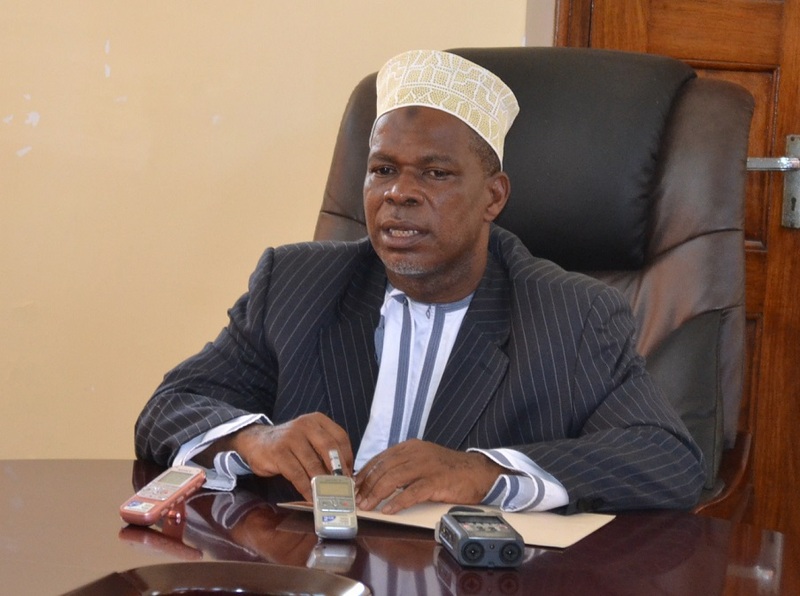 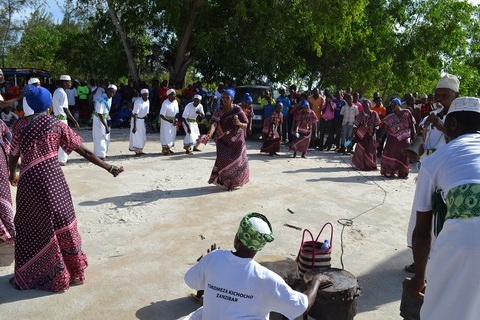 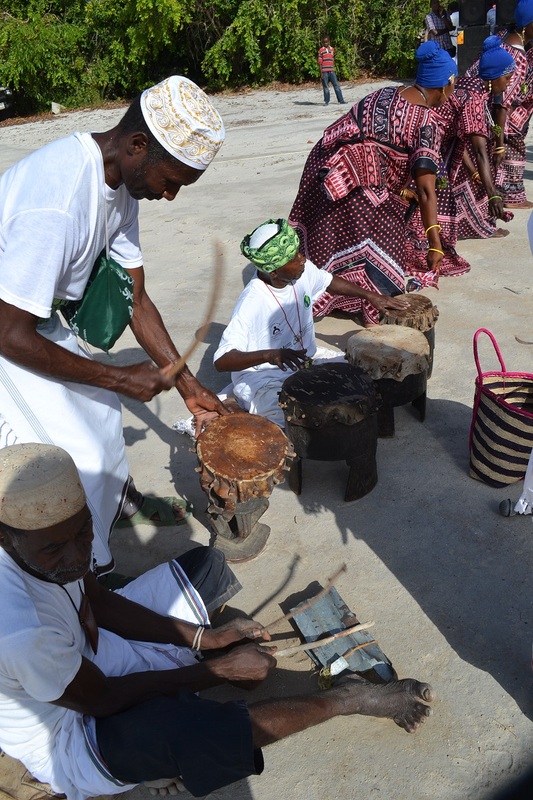 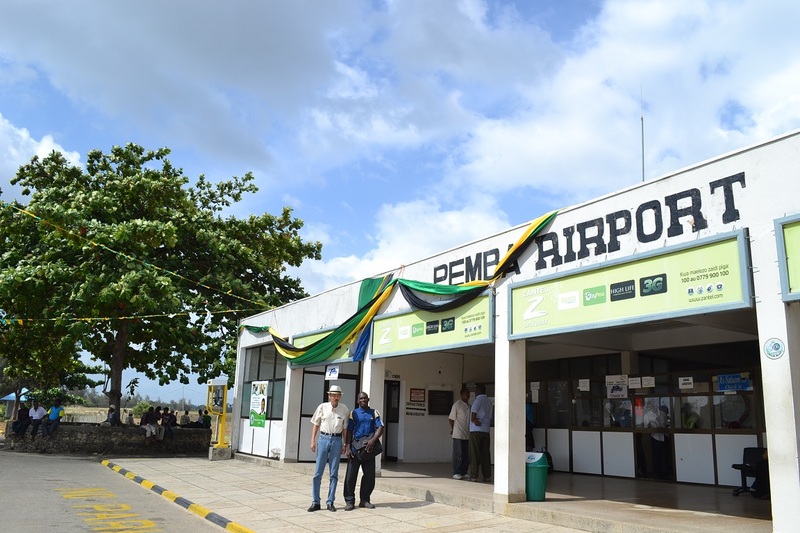 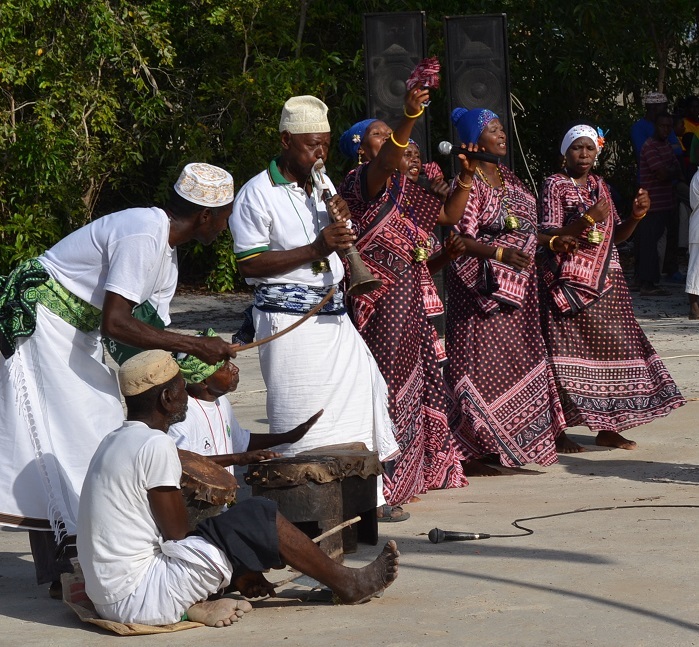 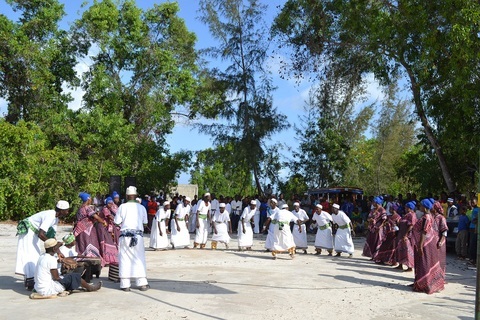 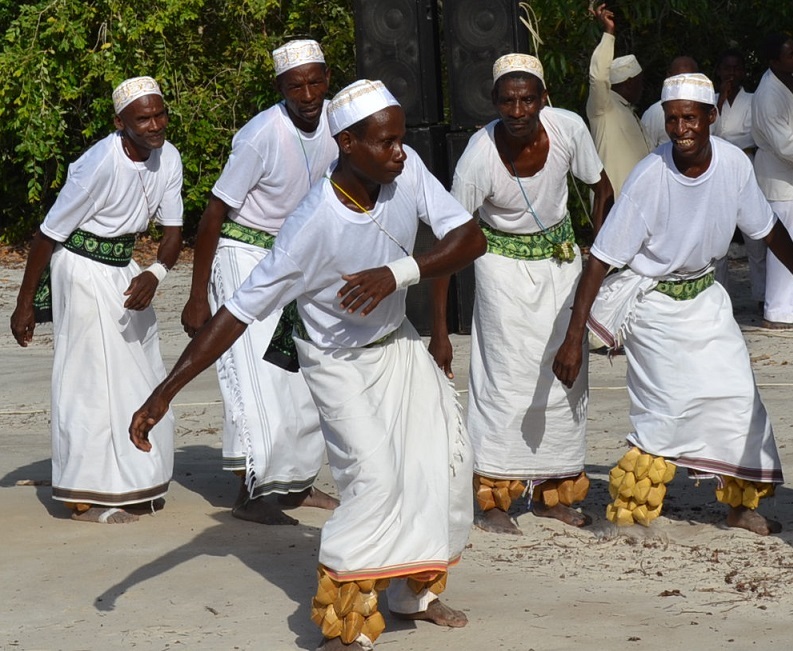 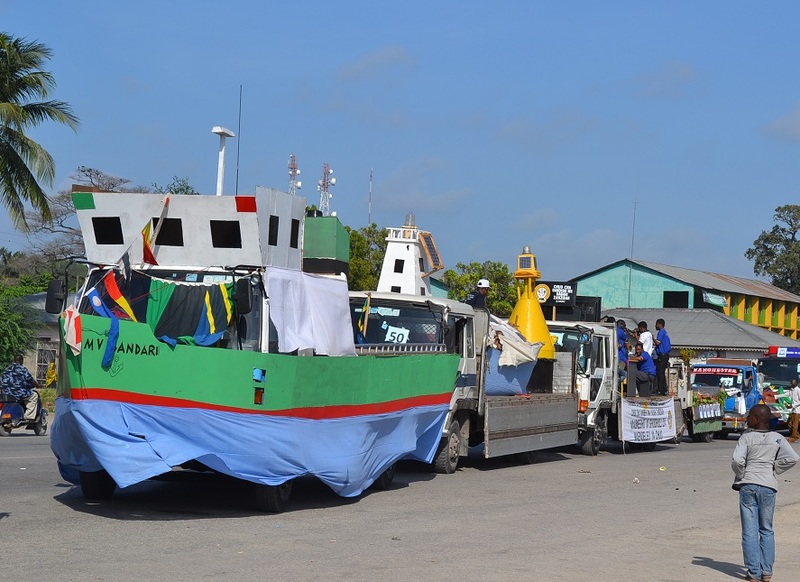 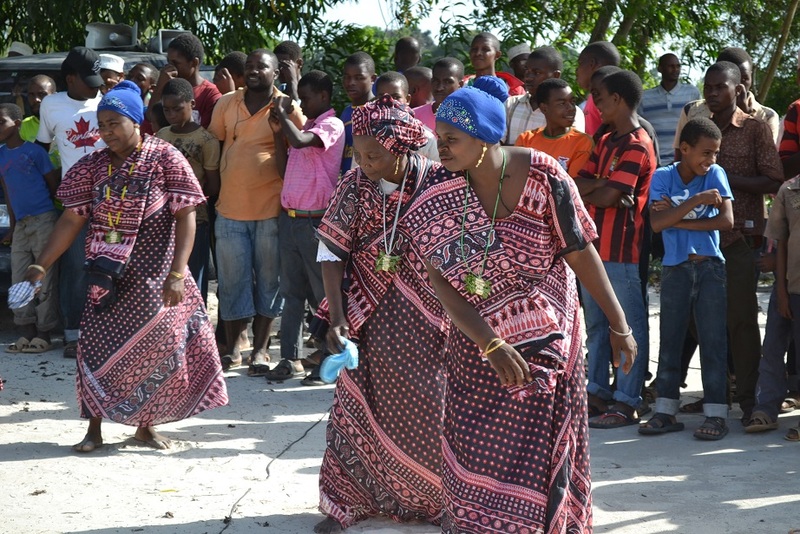 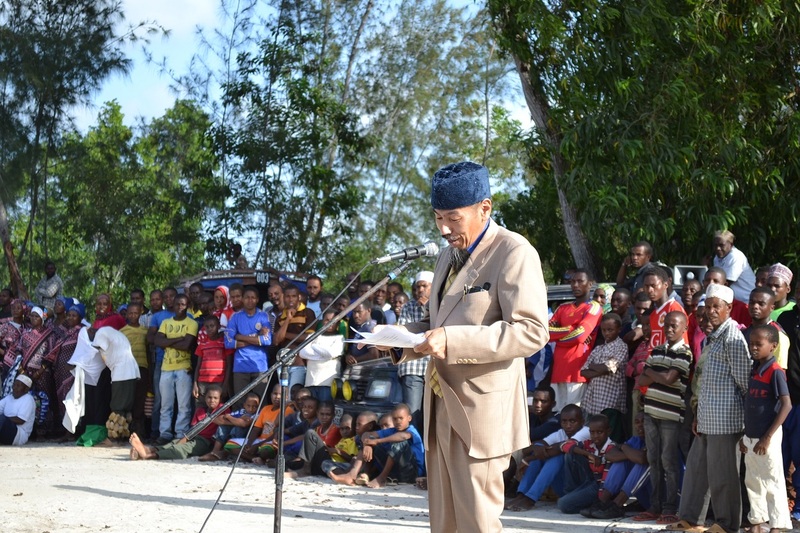 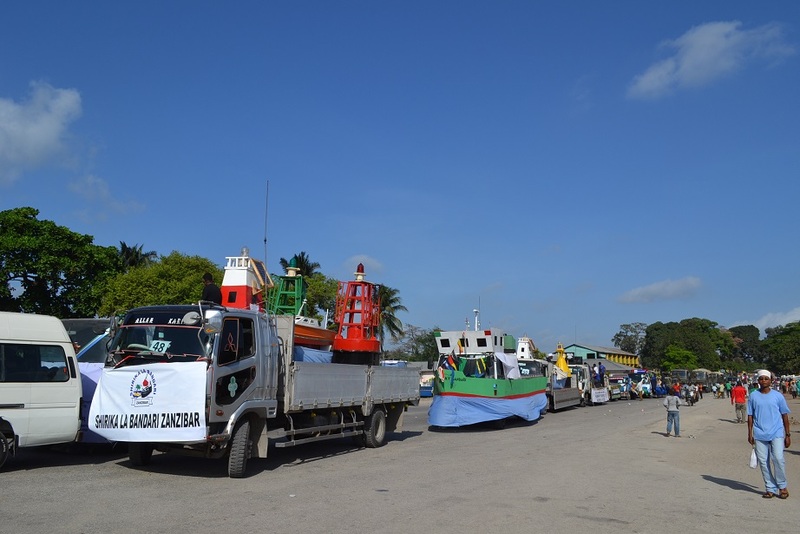 Minister, Ministry of Information, Culture, Tourism and Sports Zanzibar. 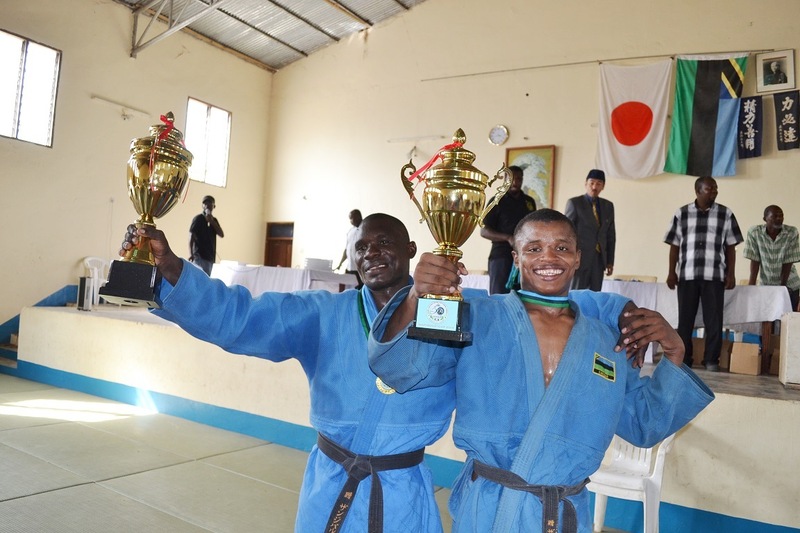 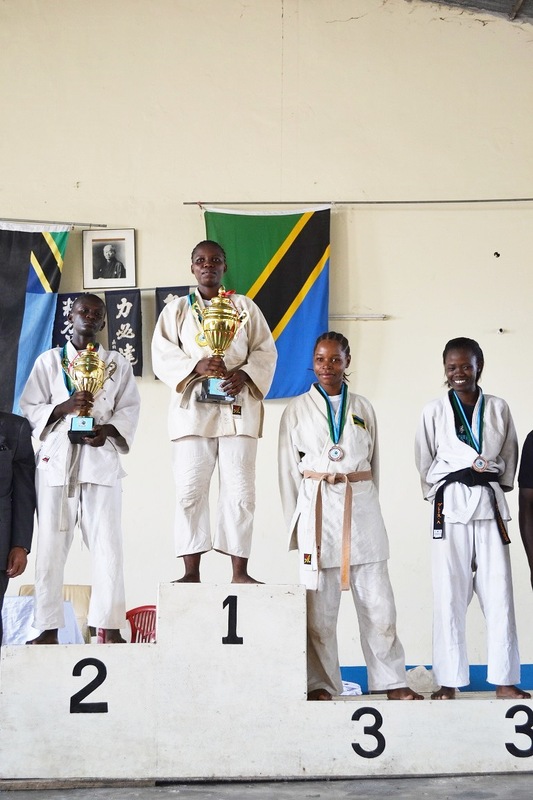 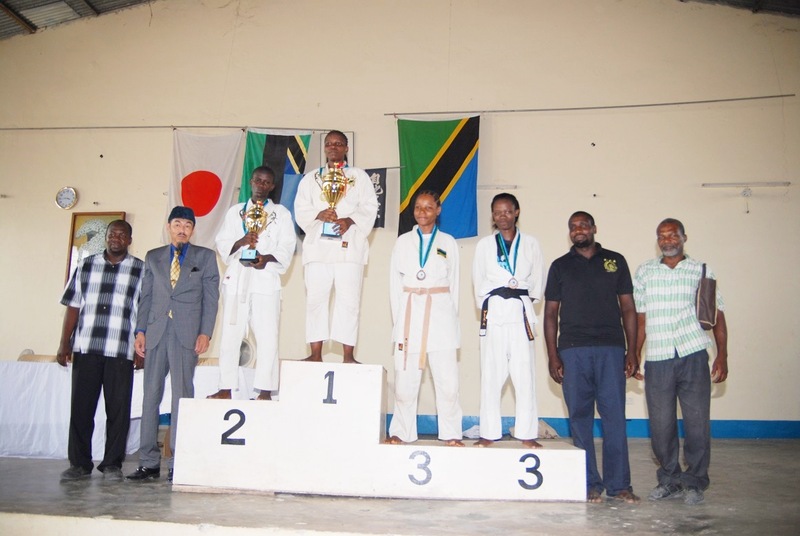 In Men category, Mbarouk Suleiman, the winner of ZANZIBAR TOYOTA JUDO CUP has become 1st winner, and in Women category, Layuu Selemani has become 1st winner. 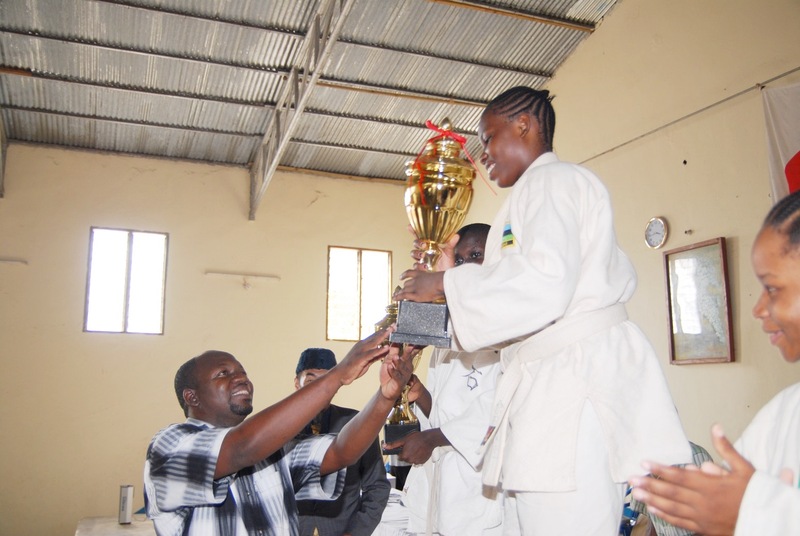 It was the first time for her to win 1st prize. 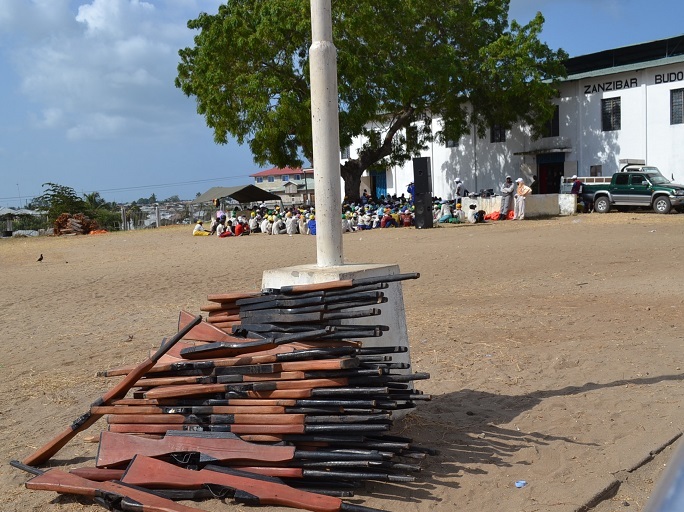 Children was gathered for parade with toy gun. 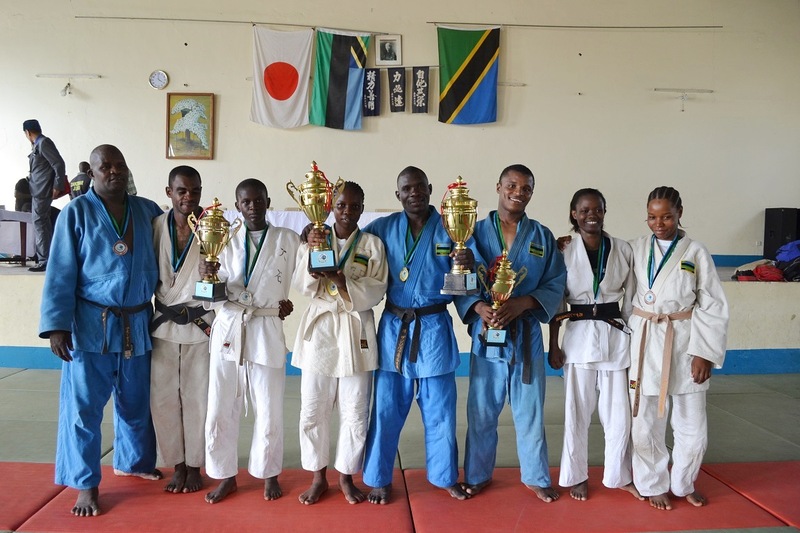 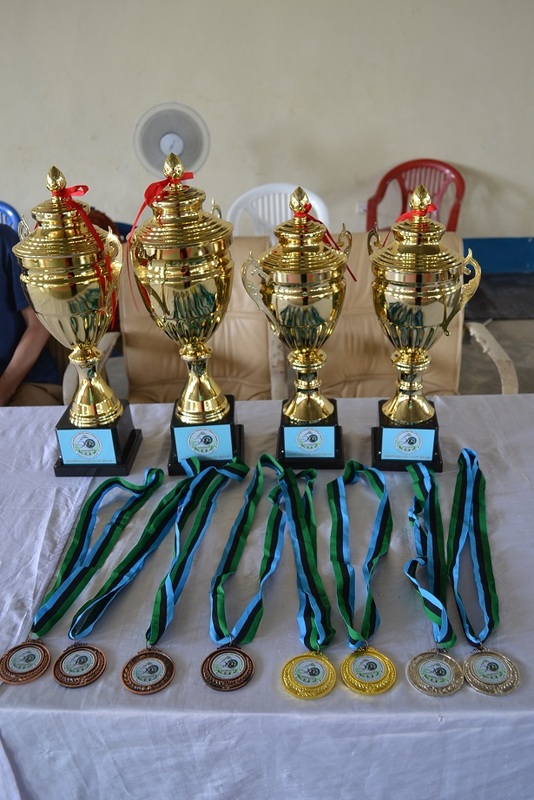 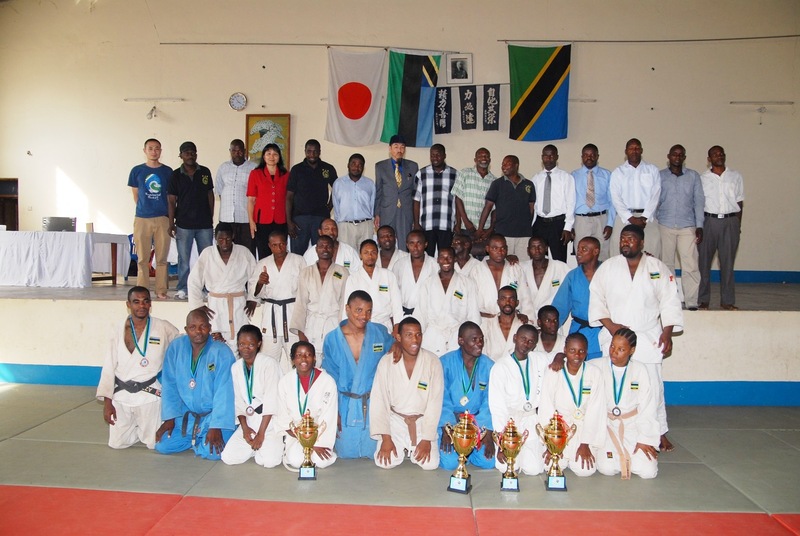 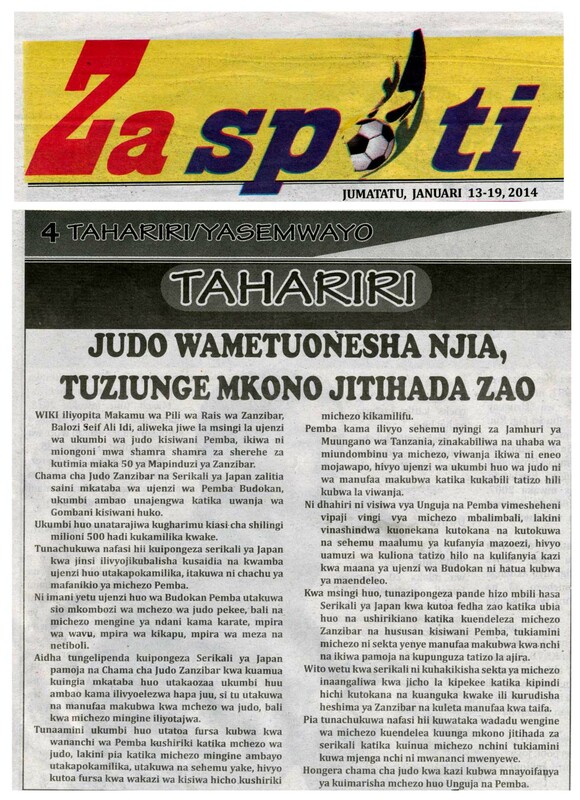 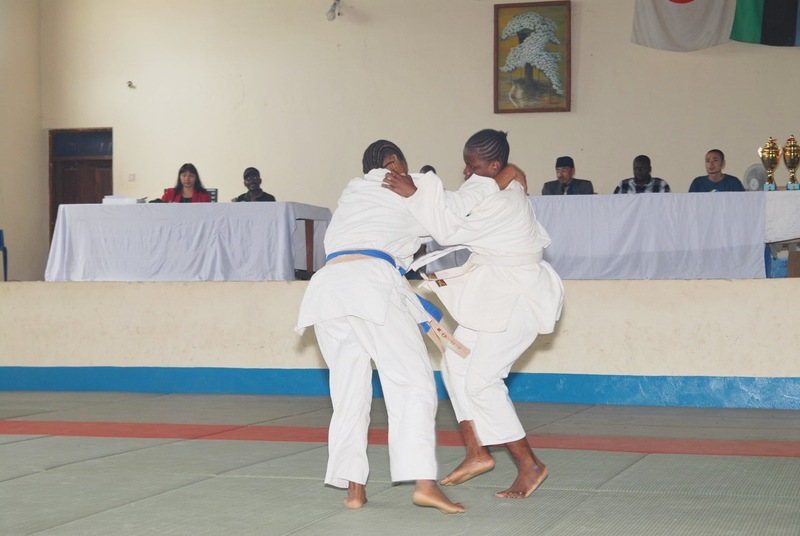 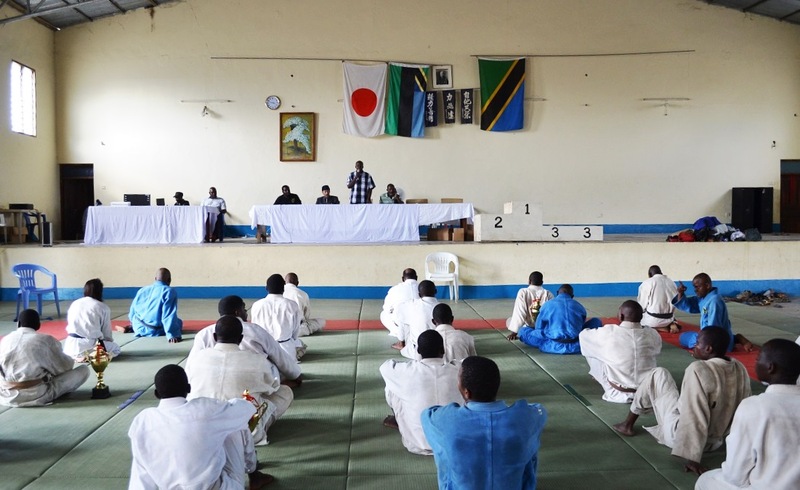 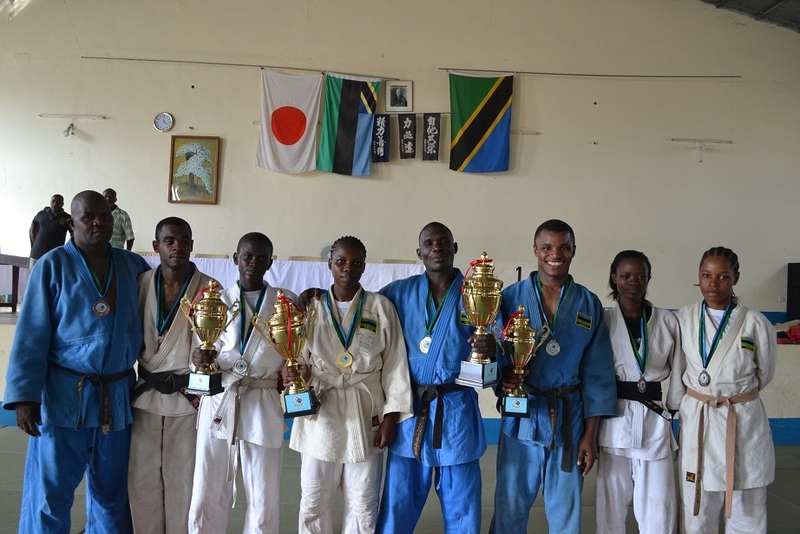 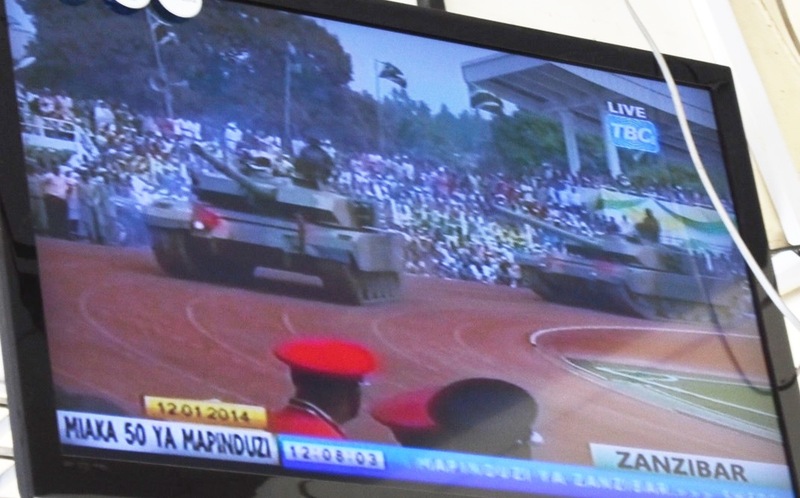 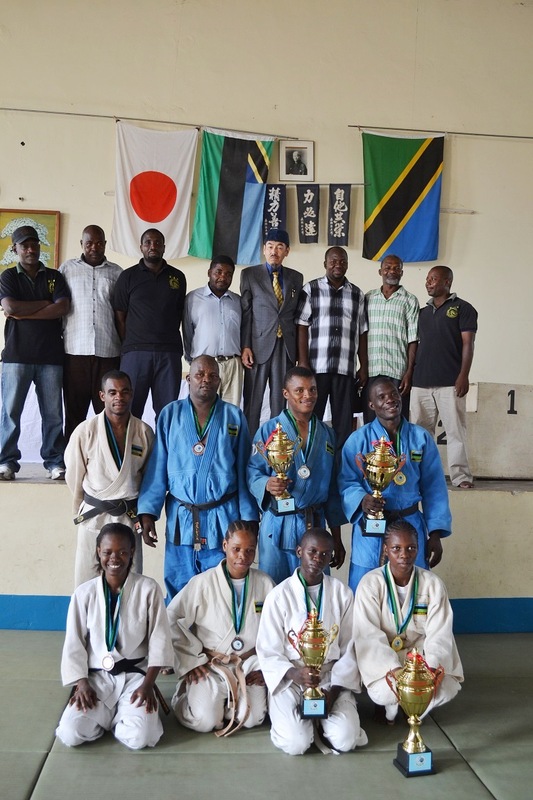 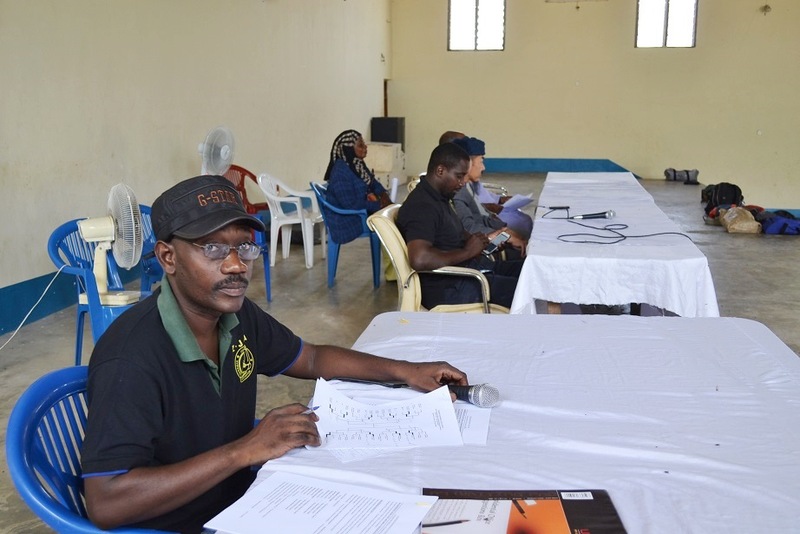 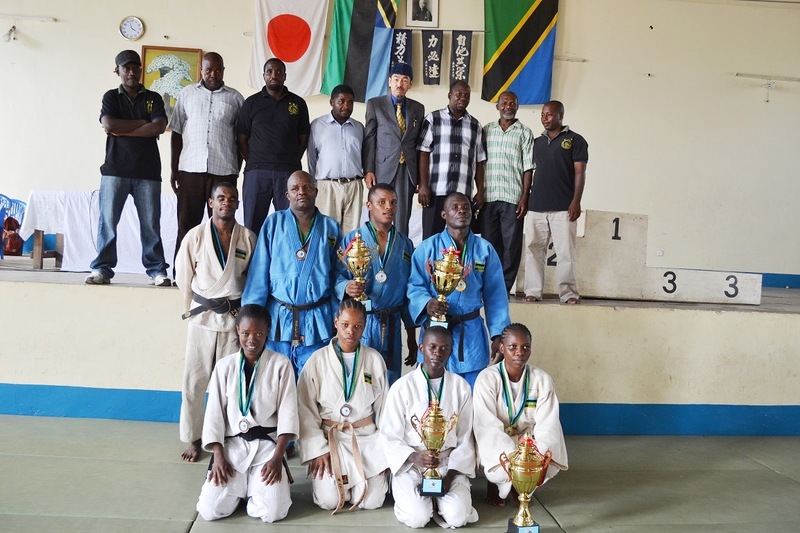 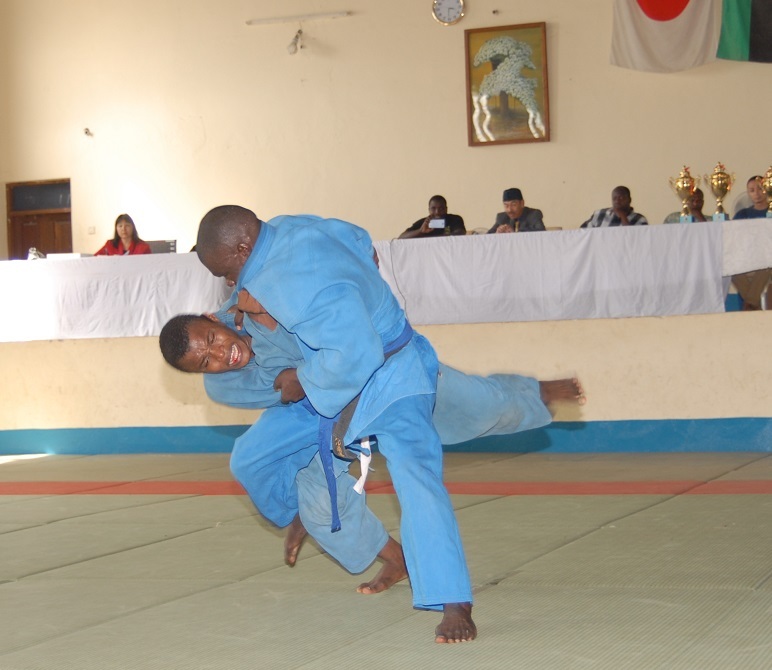 These are the photos of ZANZIBAR MAPINDUZI JUDO CUP on 09/JAN/2014, taken by Mitsuhiro MATSUDA, Japanese photographer. 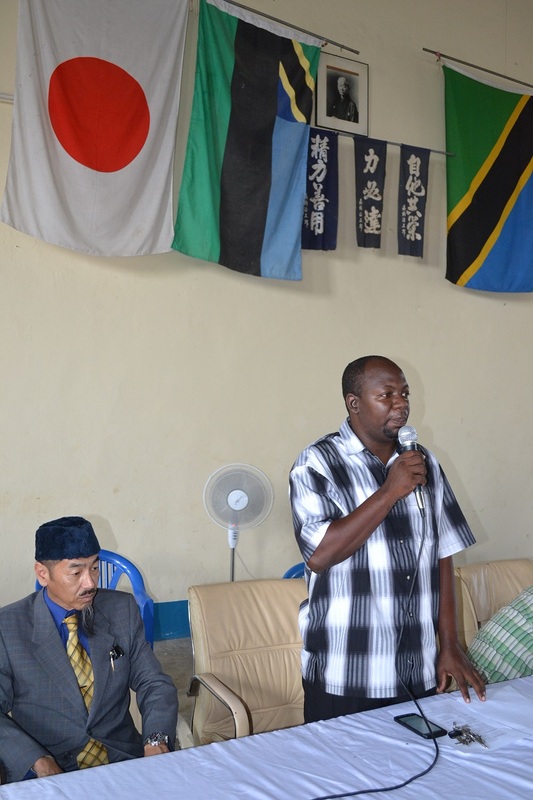 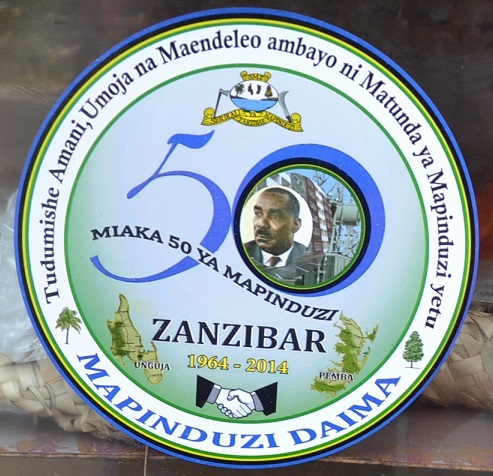 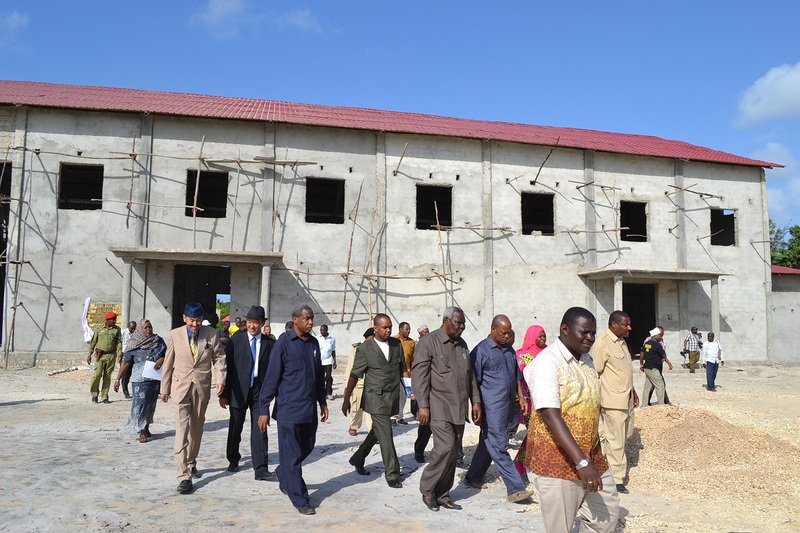 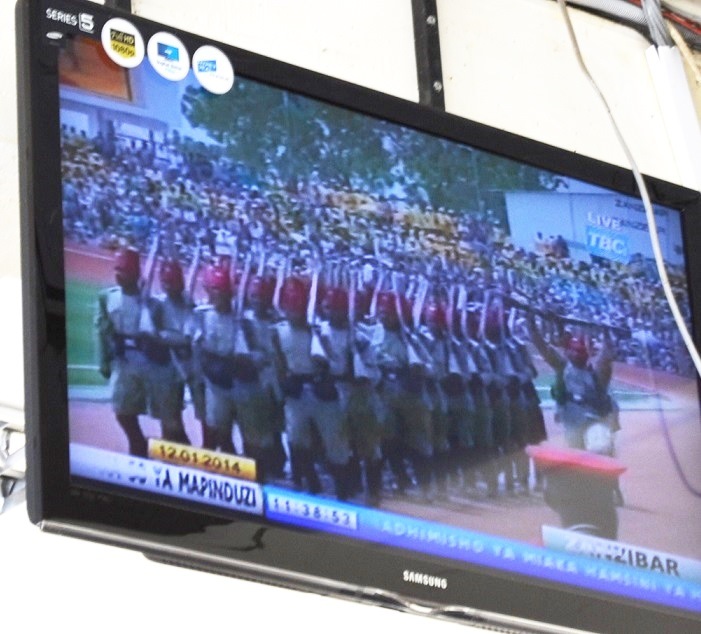 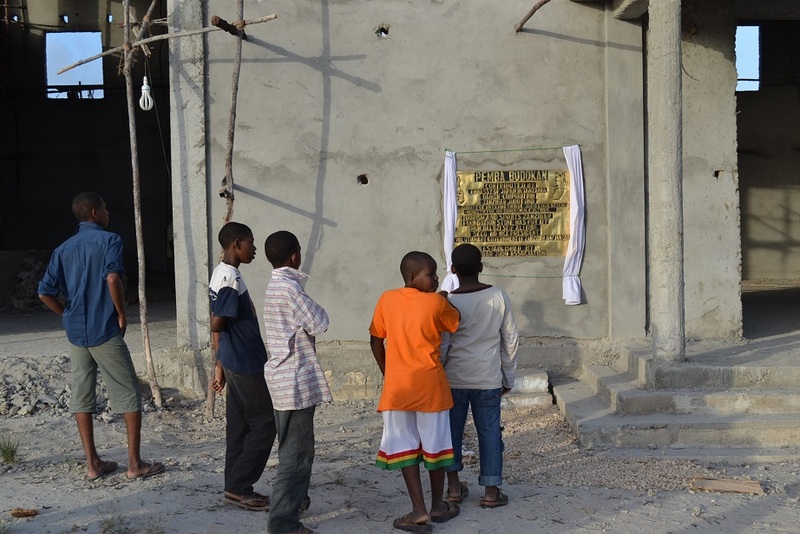 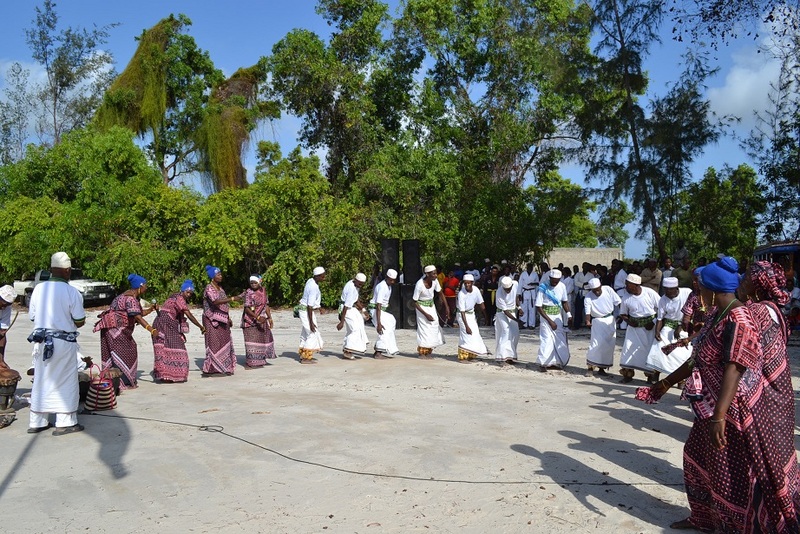 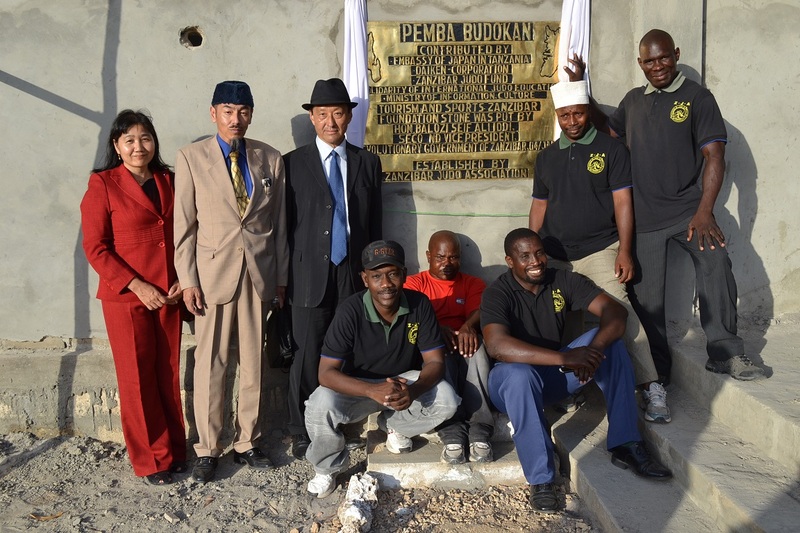 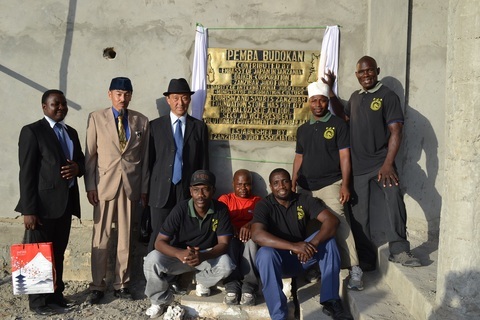 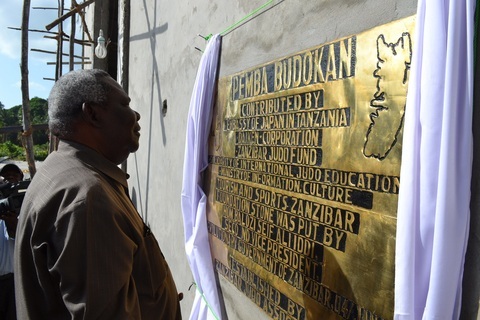 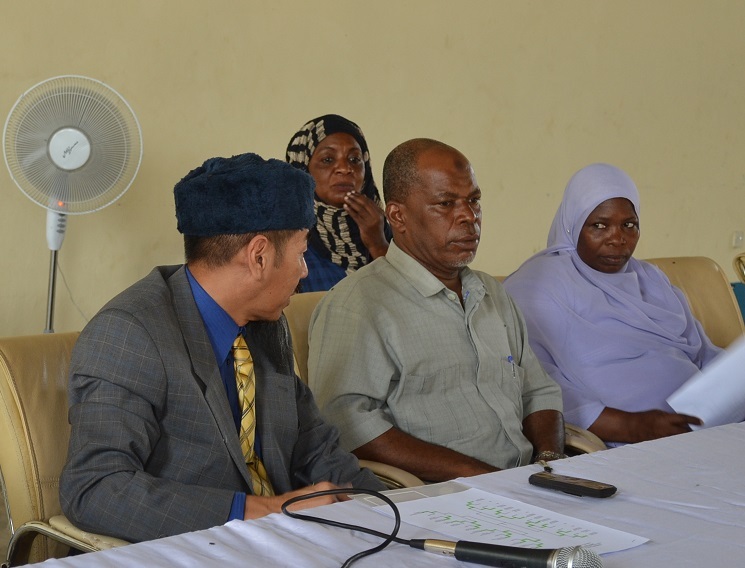 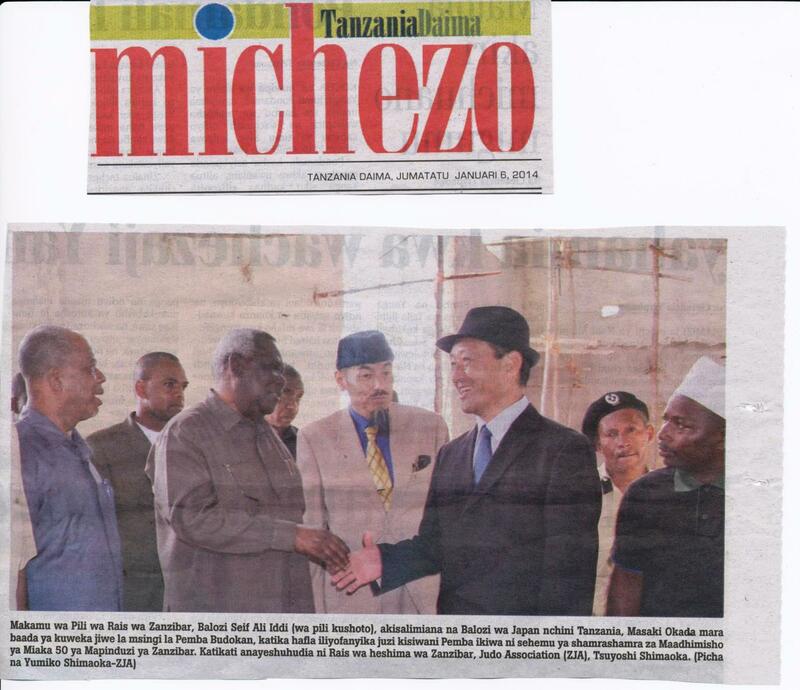 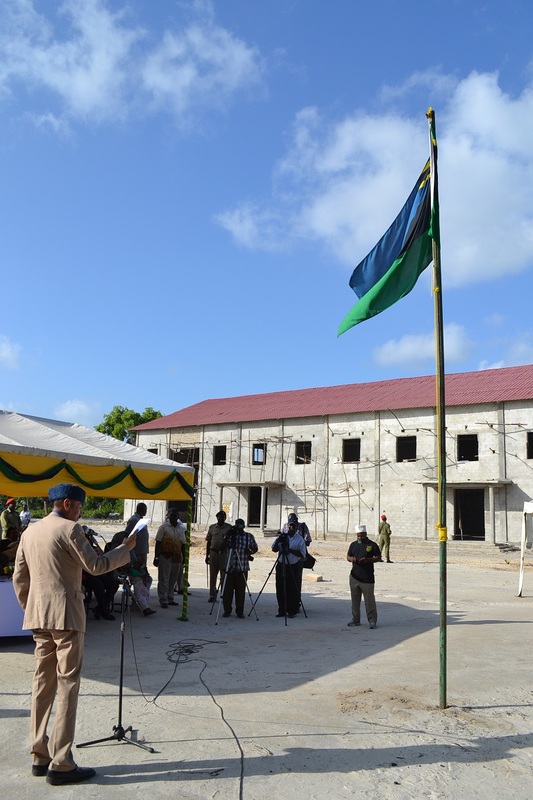 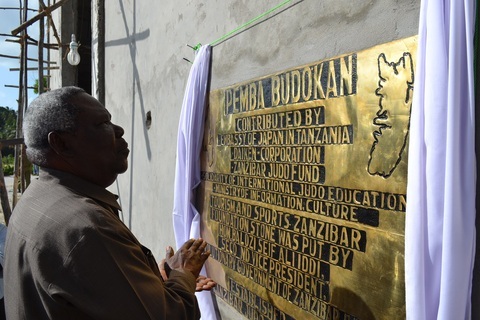 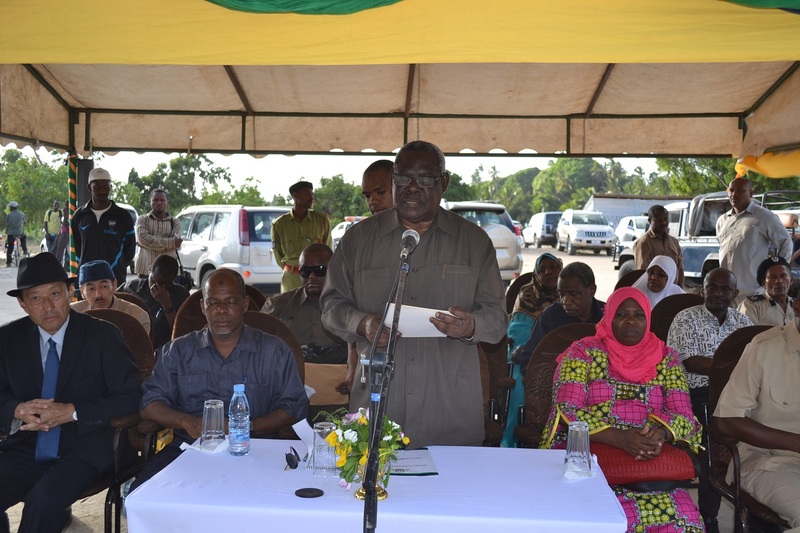 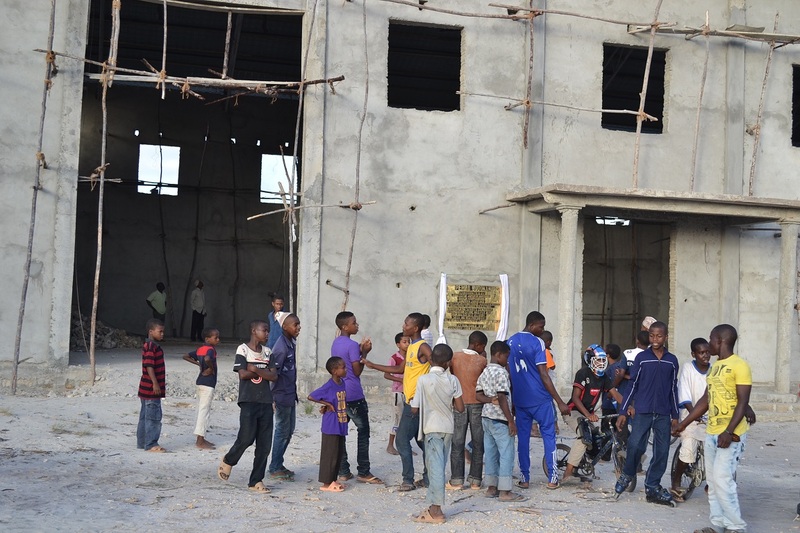 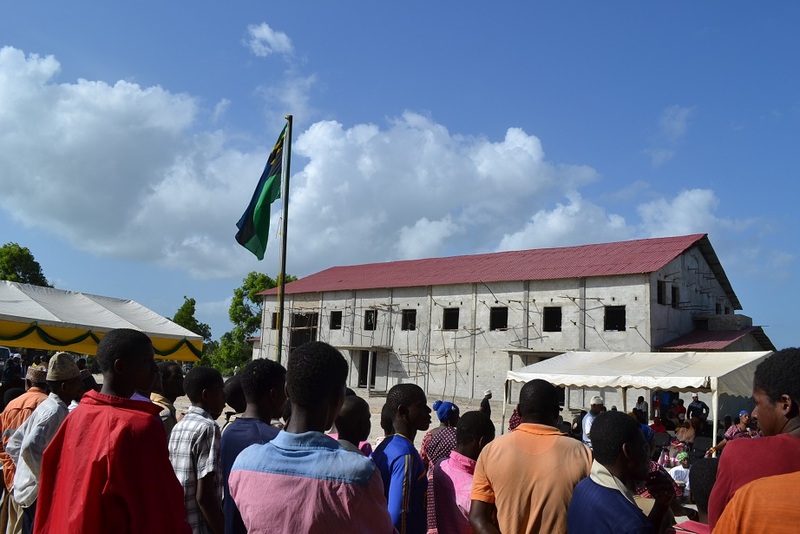 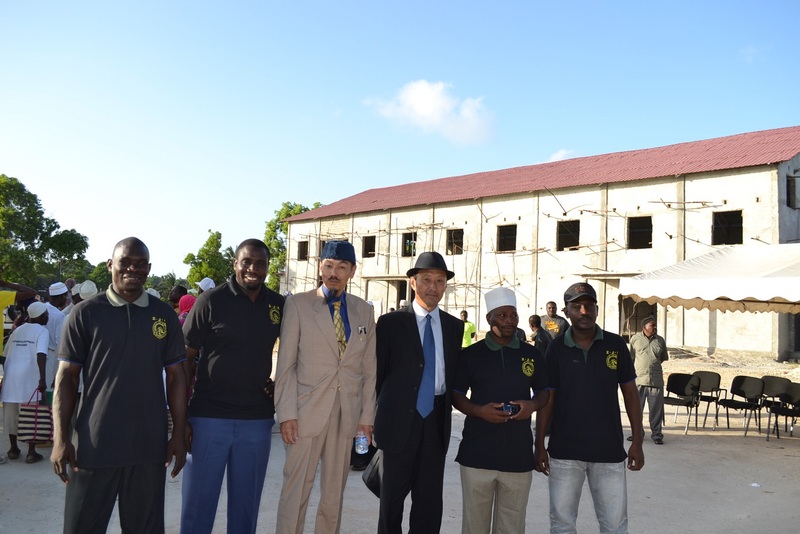 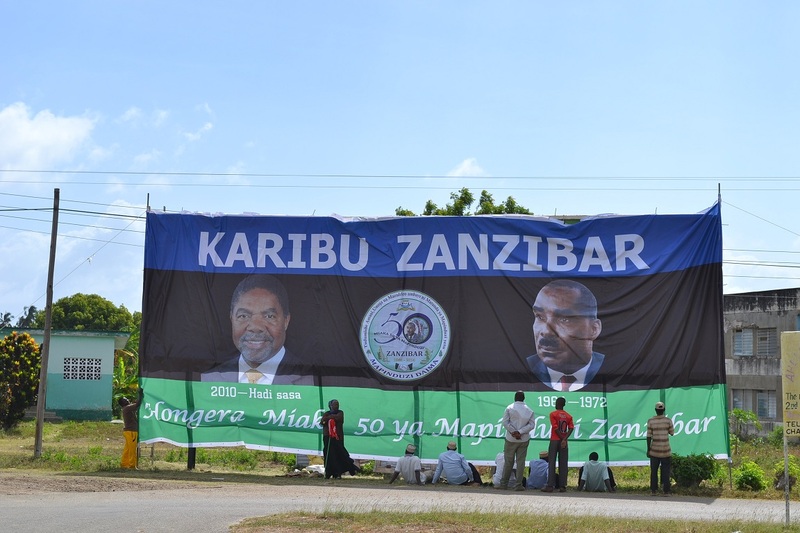 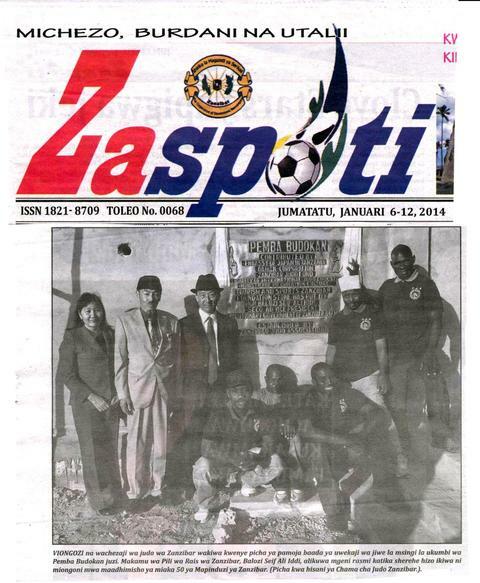 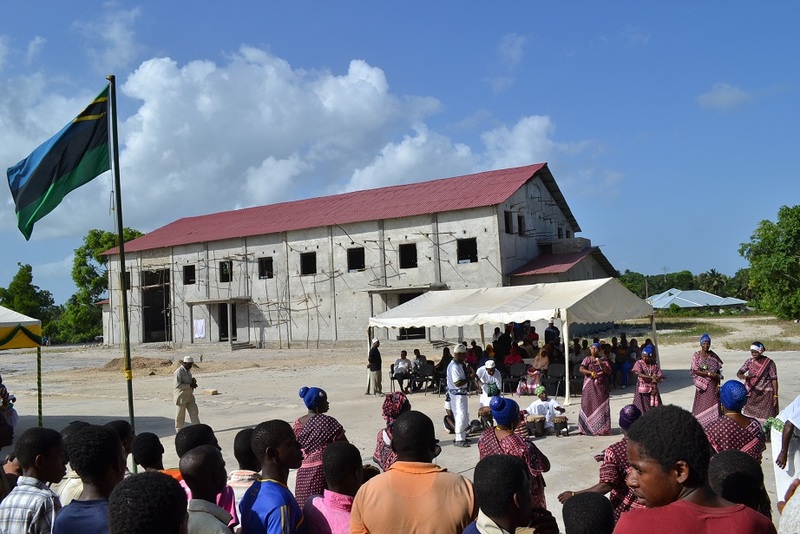 Zanzibar Judo Association held The Cornerstone Ceremony of Pemba Budokan on 04/Jan/2014 at Pemba, as one of the memorial ceremony of 50th anniversary of Zanzibar Revolution. 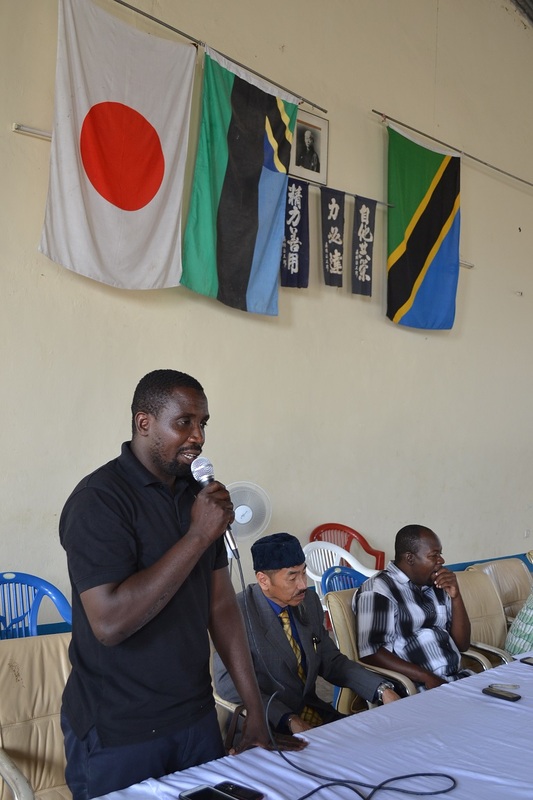 - Mbarouk, the best player of Zanzibar Toyota Budokan Cup 2013, came to this ceremony by the airplane, using the airticket, the prize of the best player. 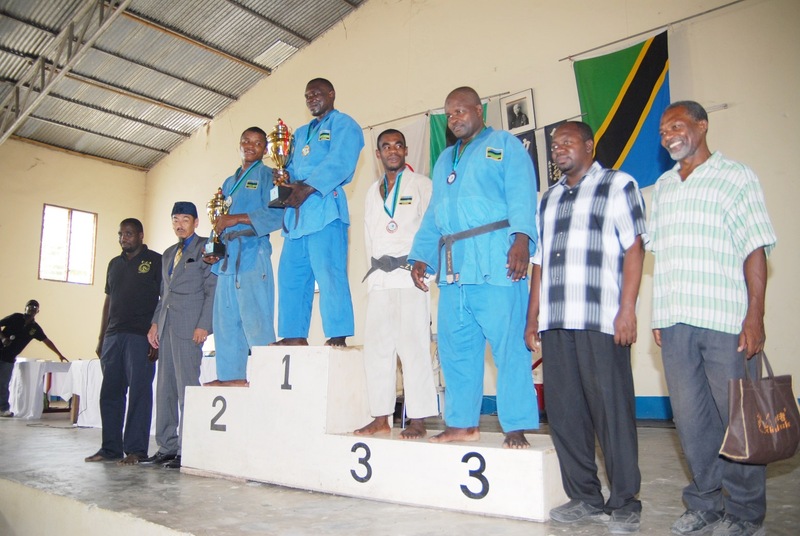 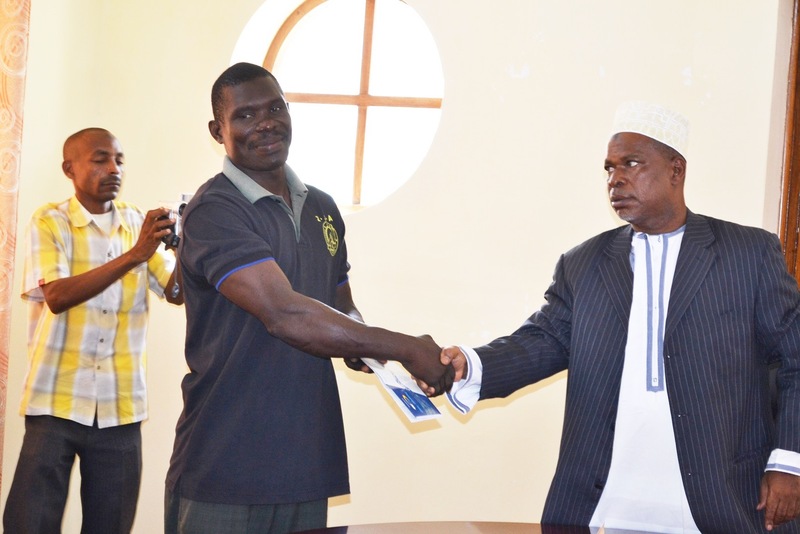 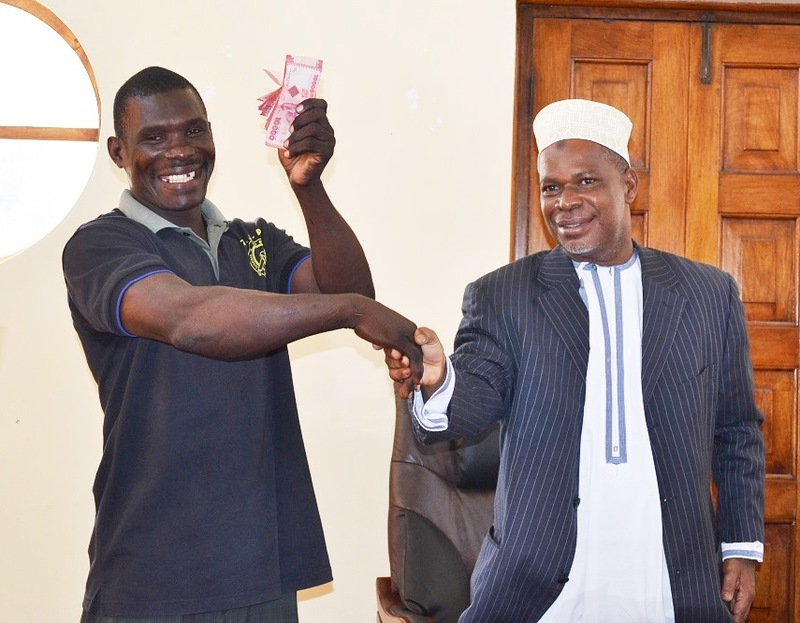 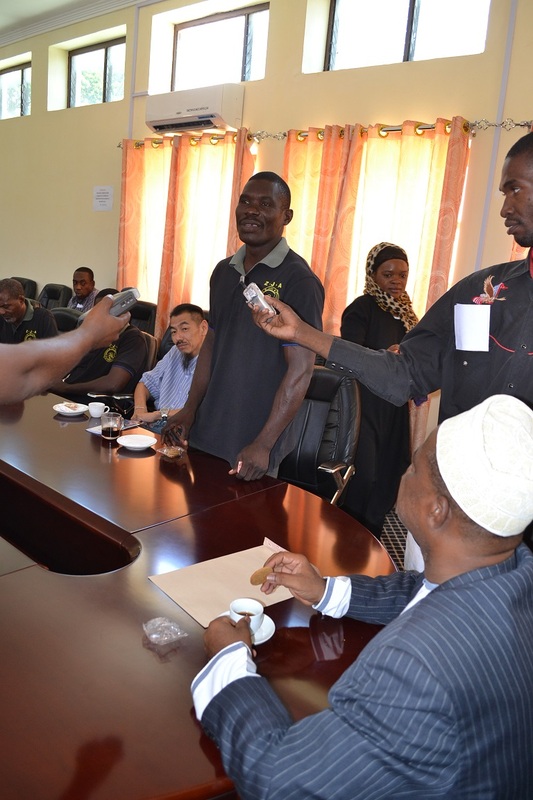 Zanzibar Judo Association would like to inform that Mr.Mbarouk Suleiman Mbarouk, who is the the Best Player of ZANZIBAR BUDOKAN - TOYOTA JUDO CUP 2013 was awarded by Minister, Mr.Saidi Ali Mbarouk (Zanzibar police) on 03/Jan/2014 at conference room of Ministry of Information, Culture, Tourism and Sports Zanzibar. 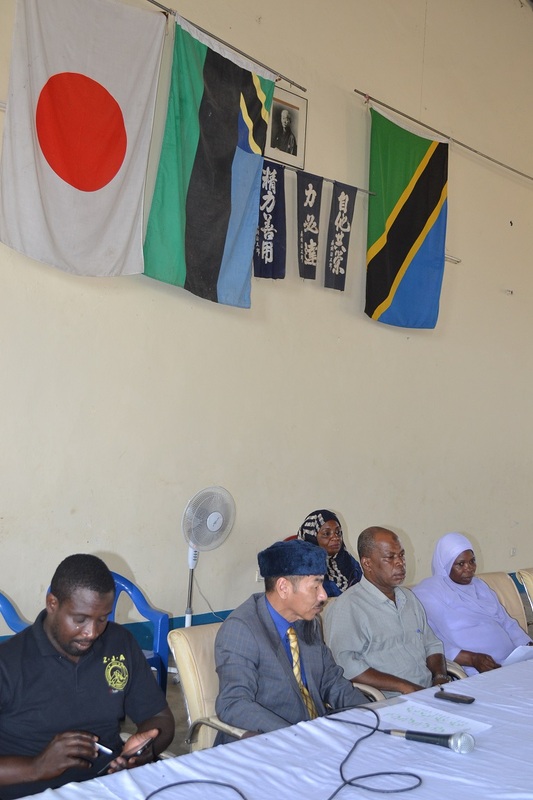 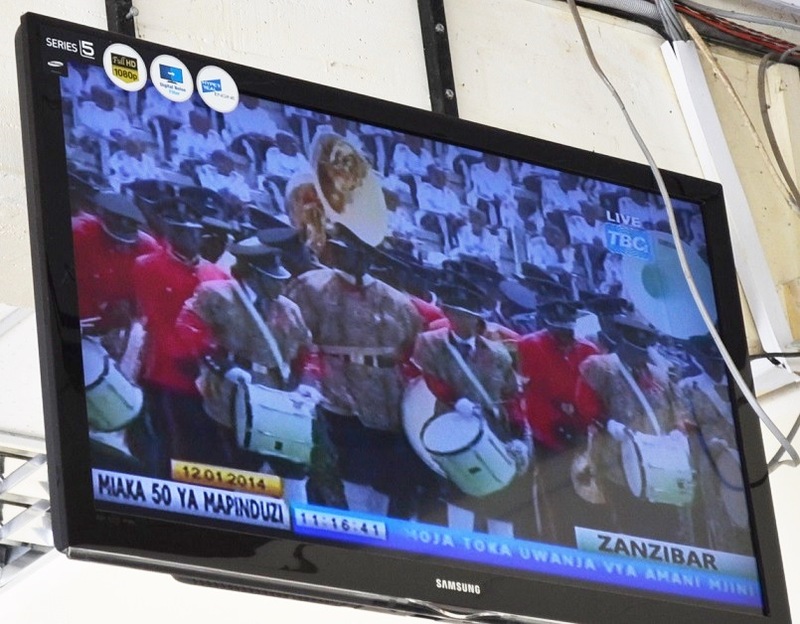 Minister said that there is the plan to select Best Player by each Sports in this year and will be awarded by Ministry or National sports Council Zanzibar. 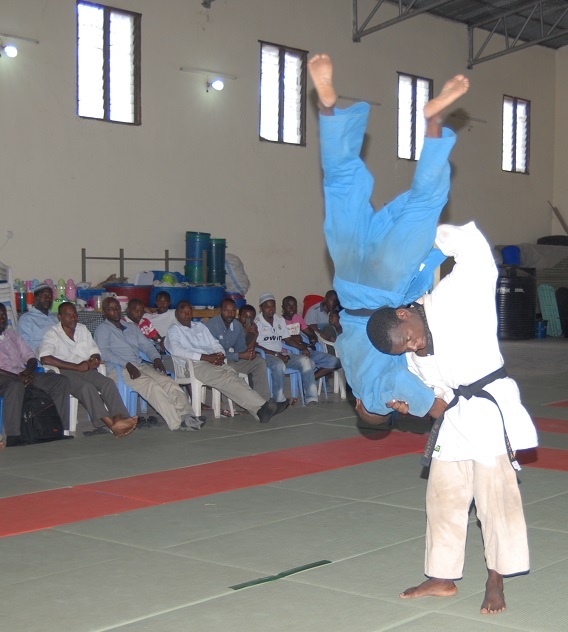 This case of Best Player of Judo would be good example. 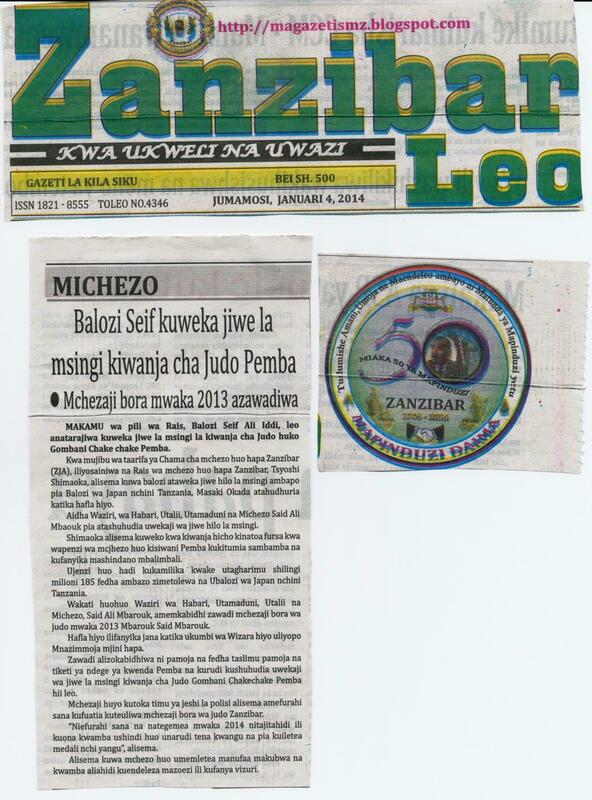 "I am very happy and I am very proud of this award. 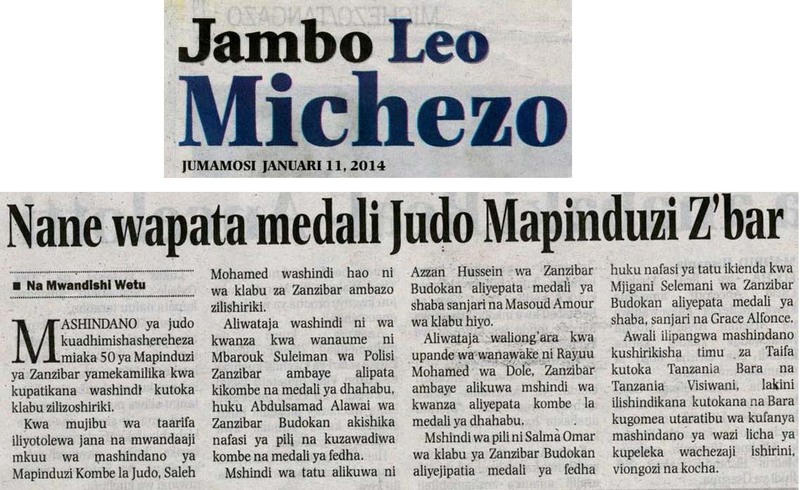 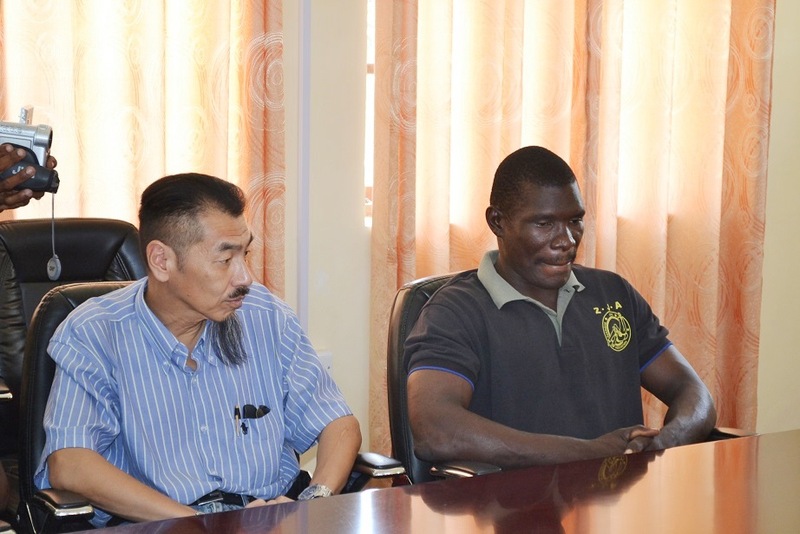 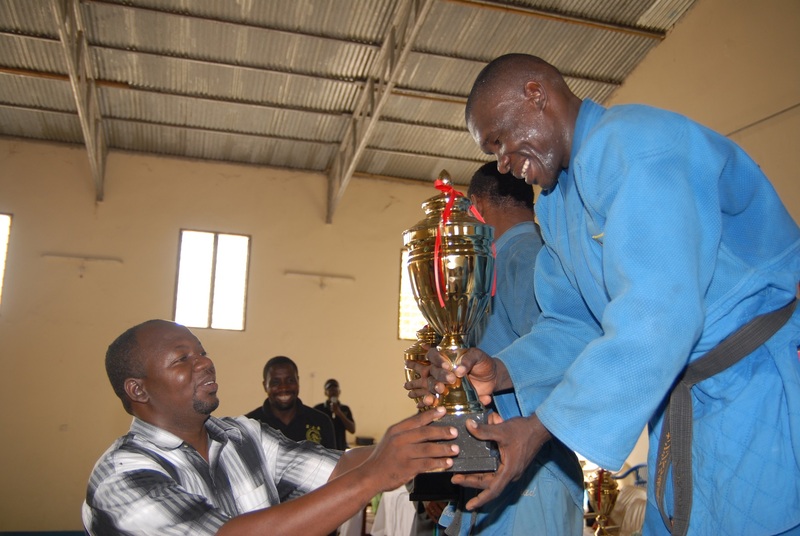 I will also make effort in this year, and I will bring medal of East Africa Judo Championship to our country. 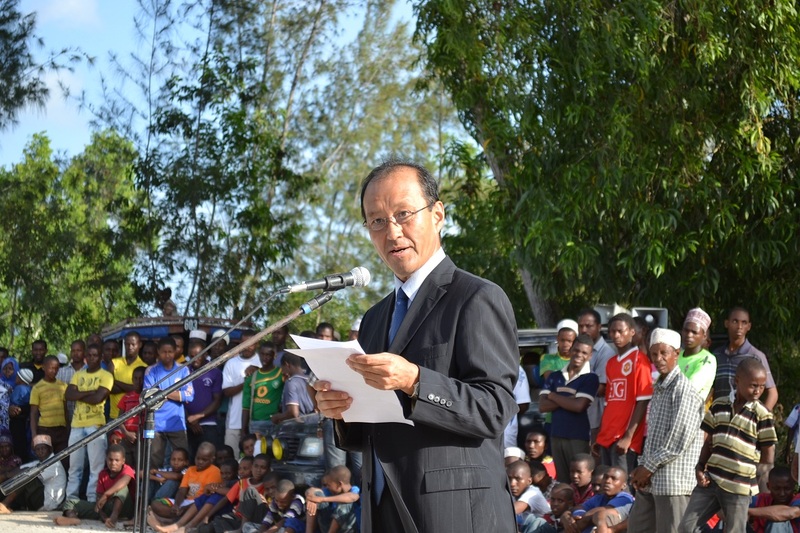 I've never imagined that I could meet Minister directly one-to-one. 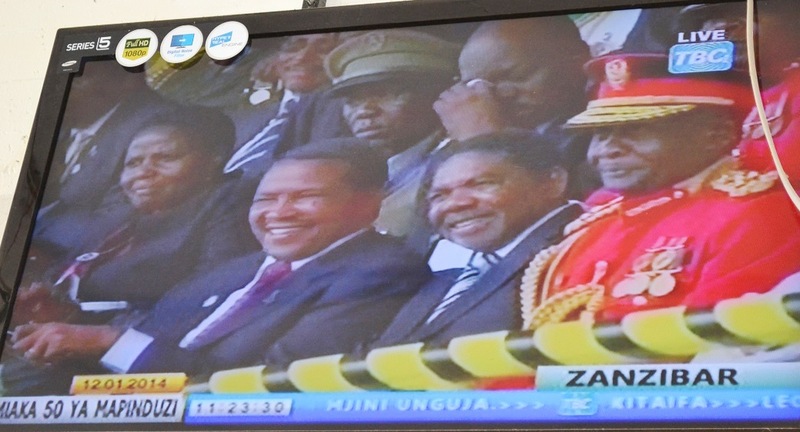 I will never forget my happiness of today. 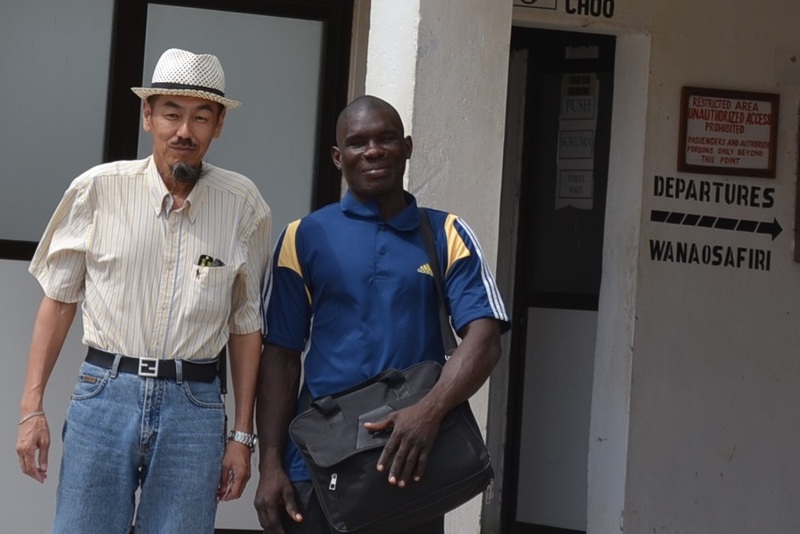 I thank for God to give me the power and blessing. 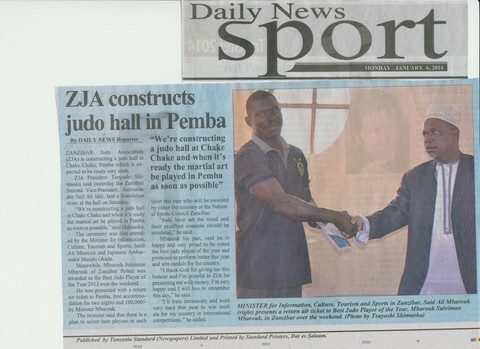 Also I thank for Judo to give me fortune. 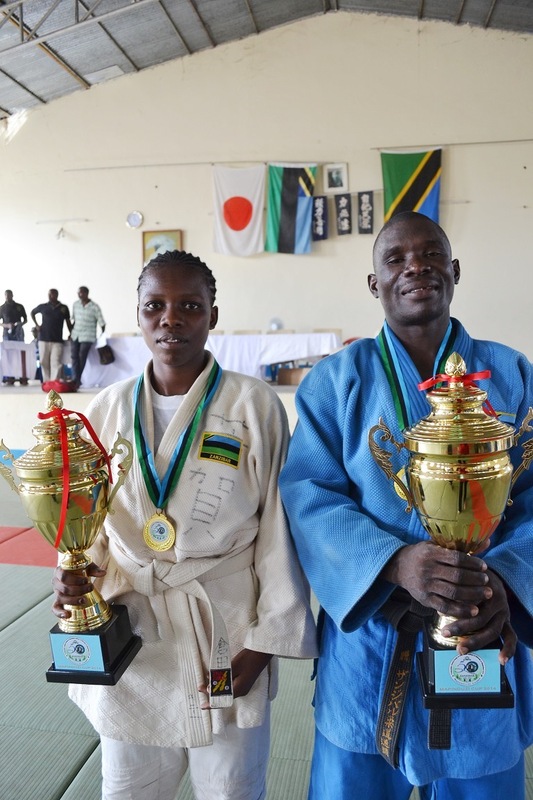 I will continue to make effort for training, winning and getting medals.